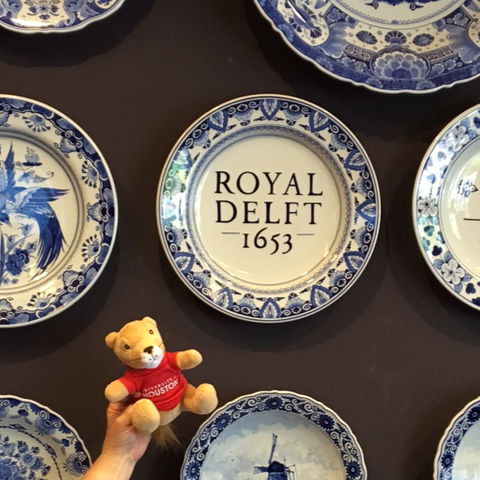 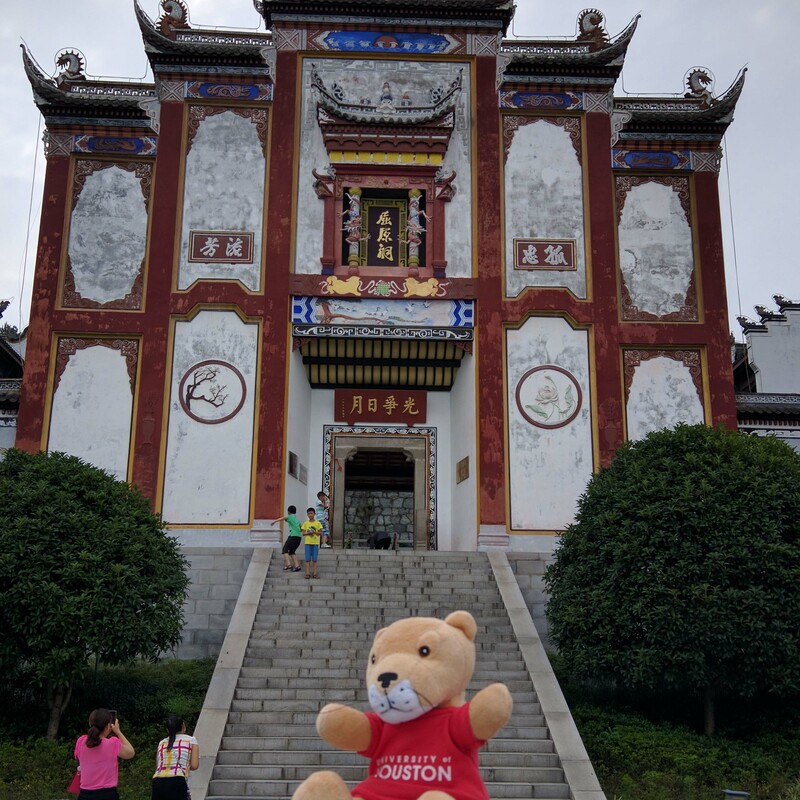 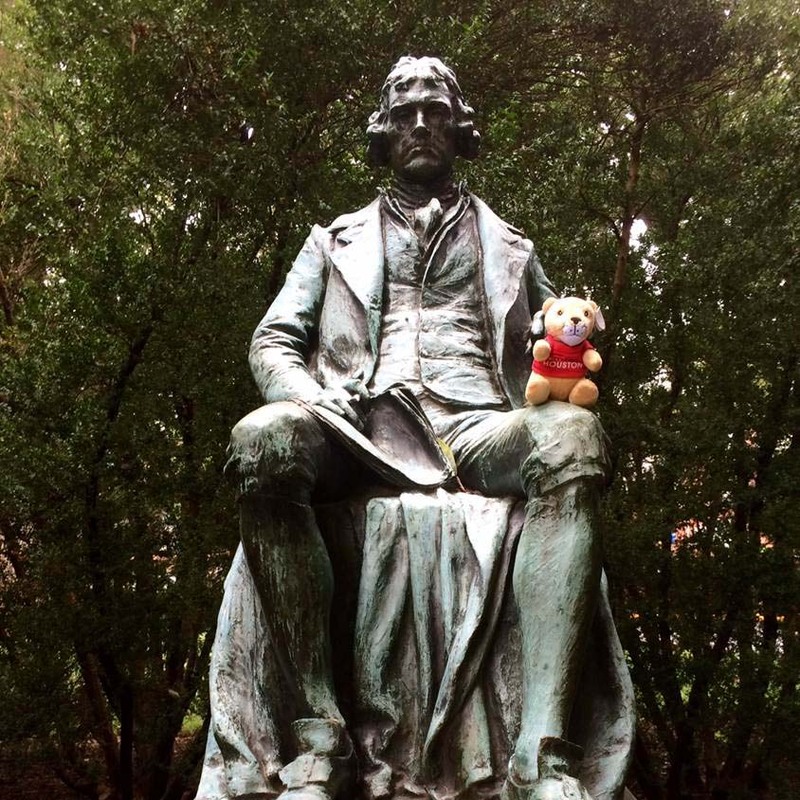 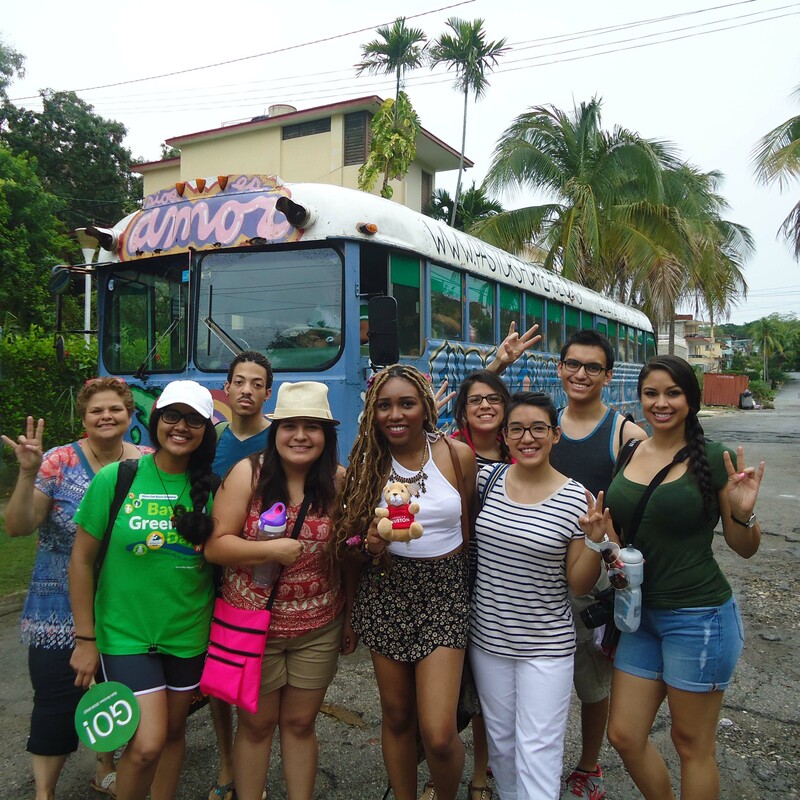 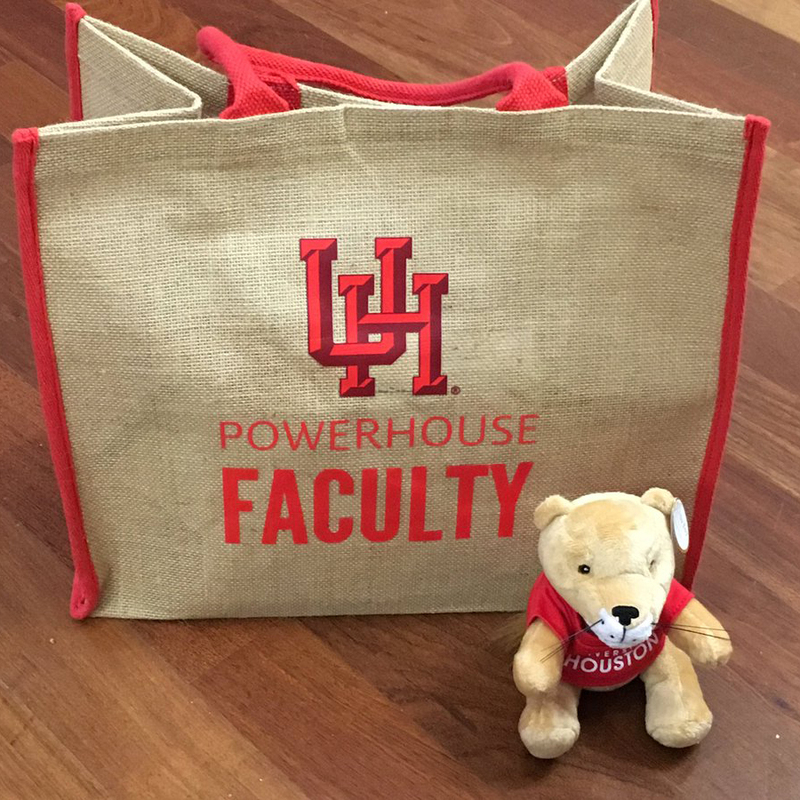 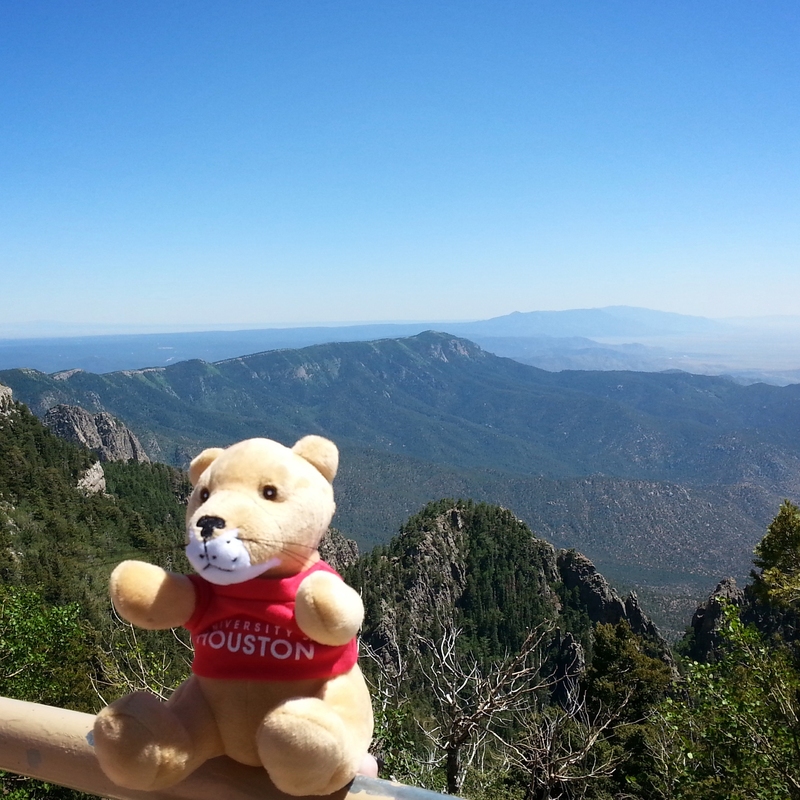 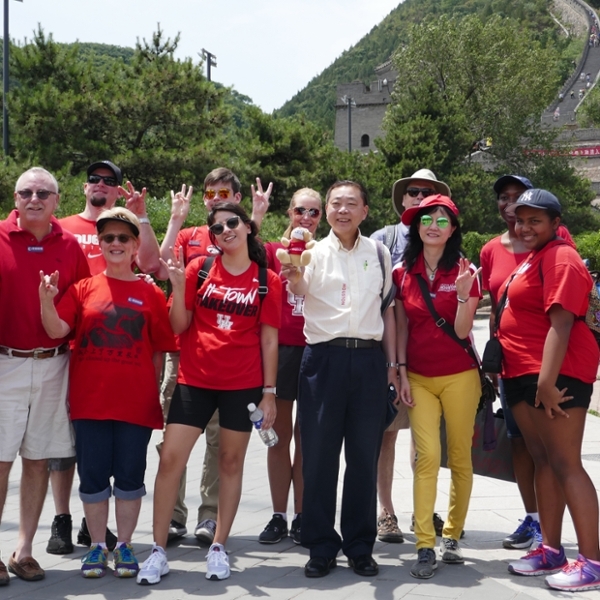 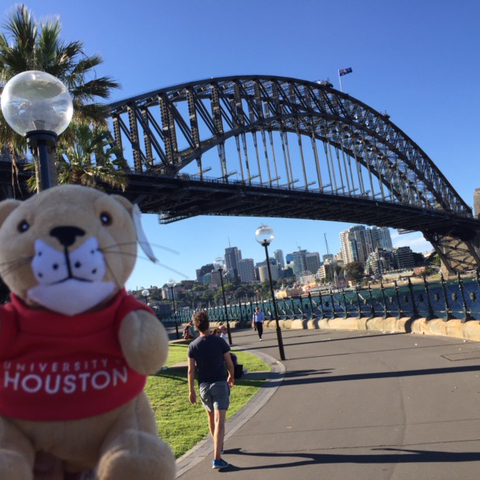 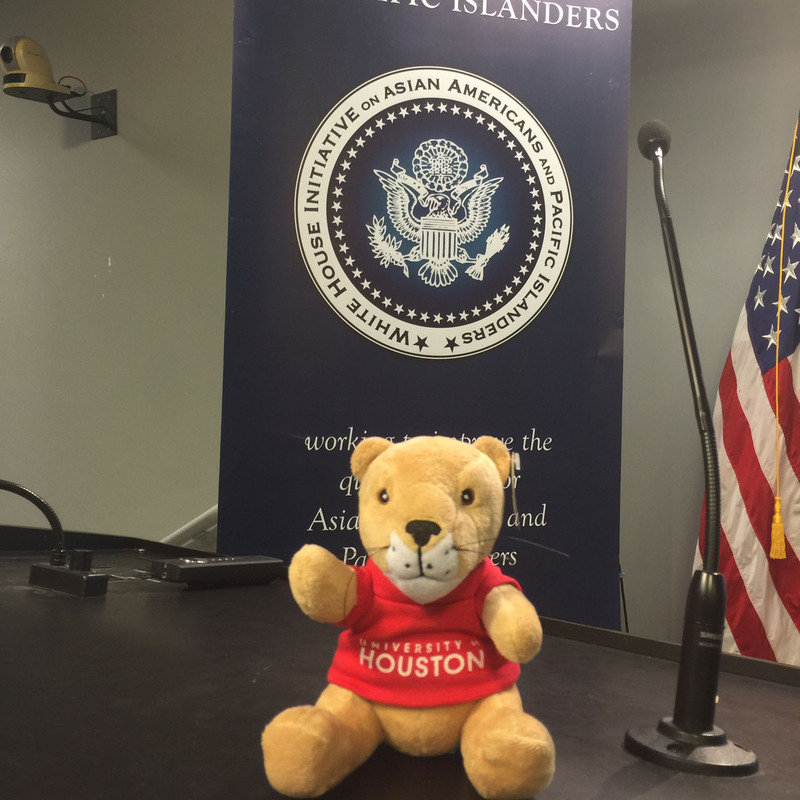 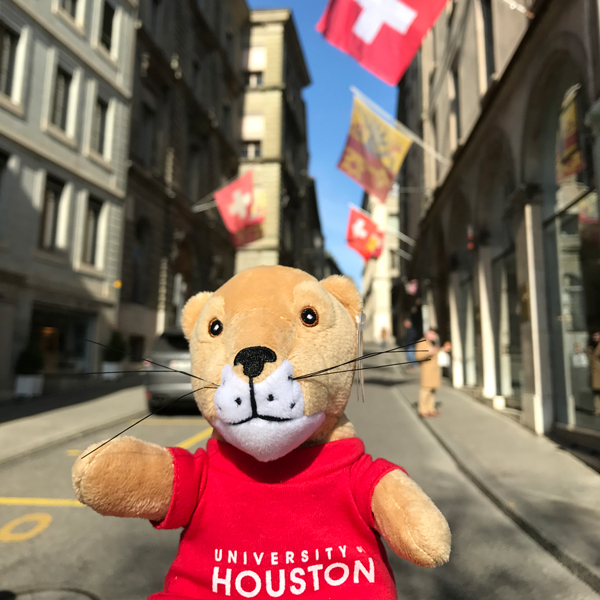 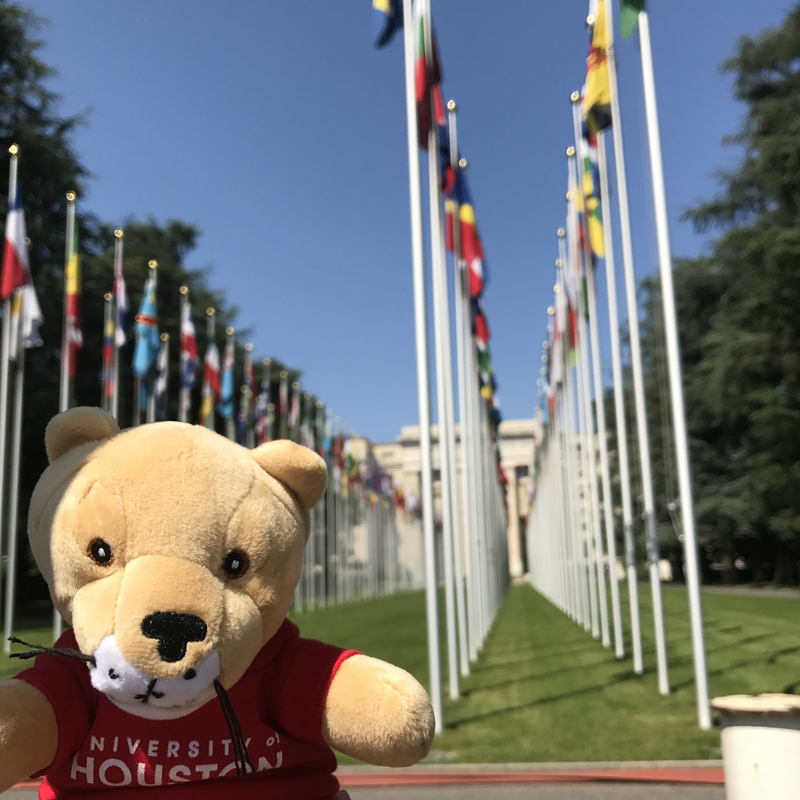 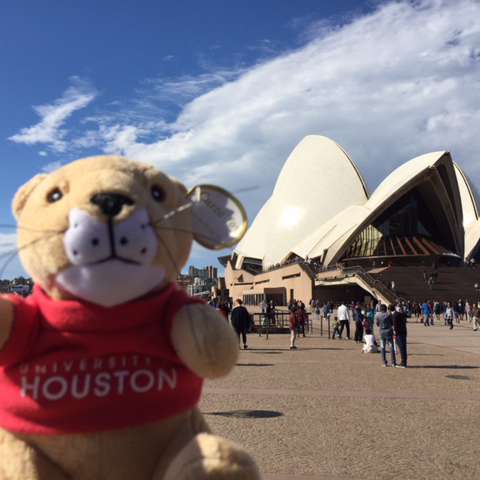 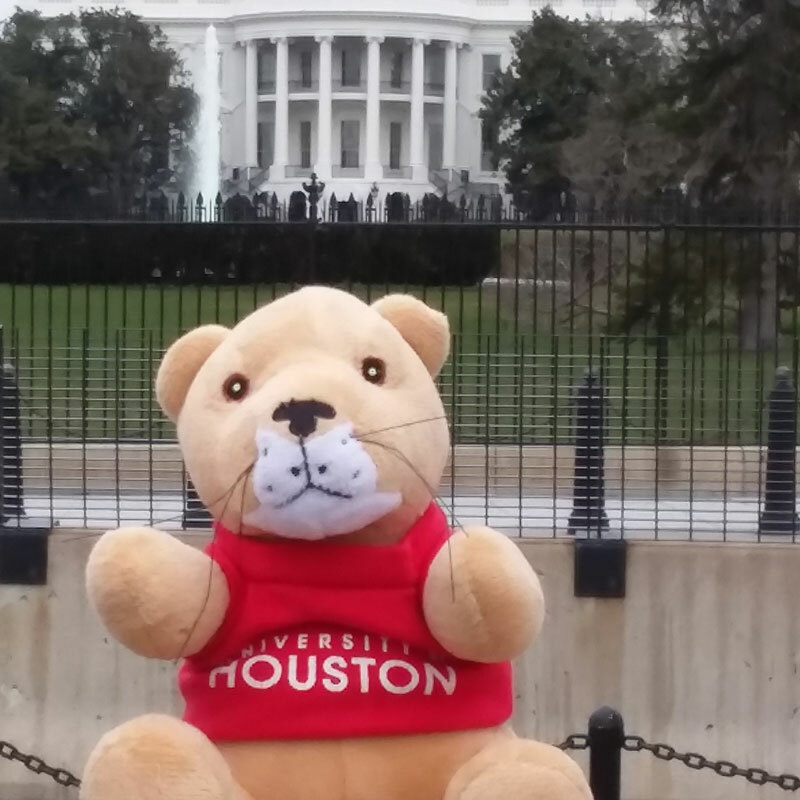 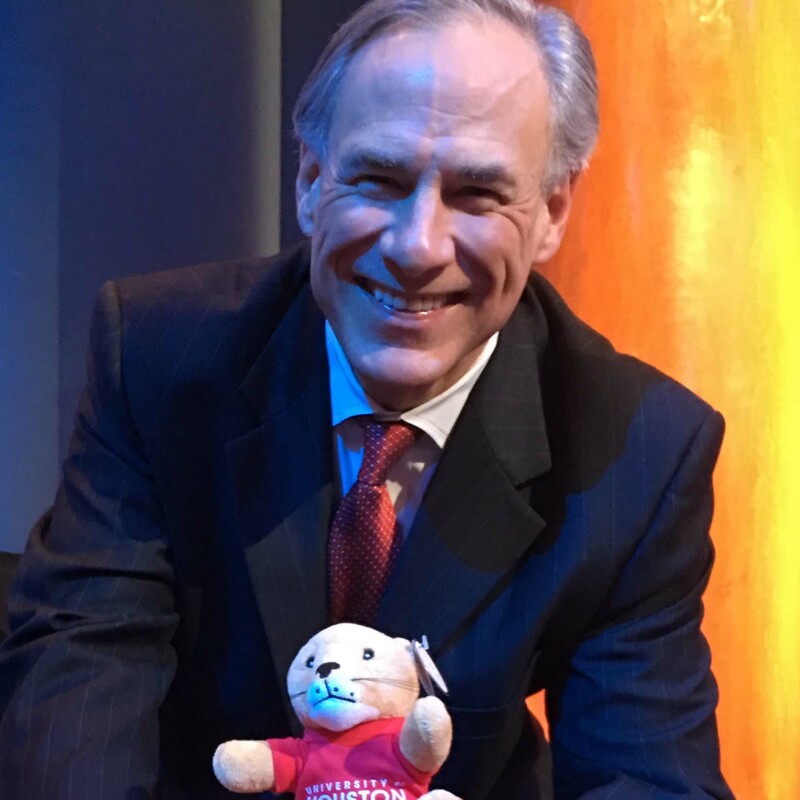 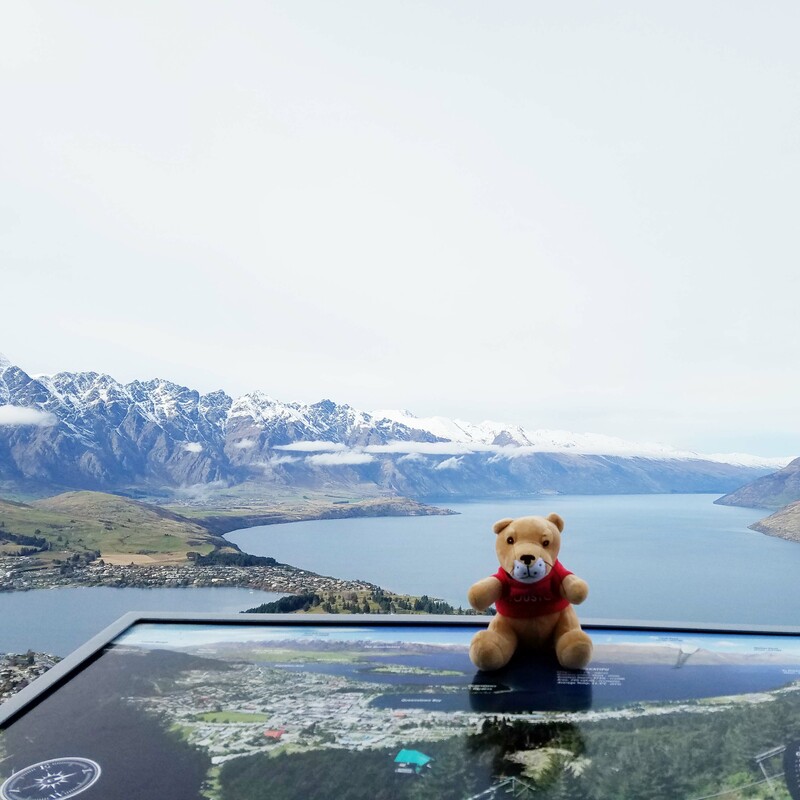 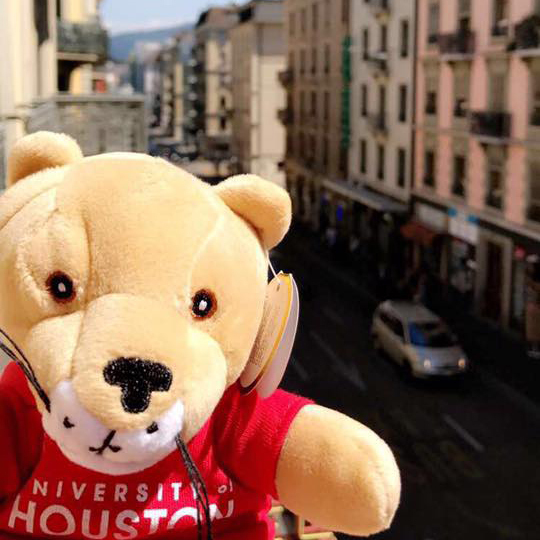 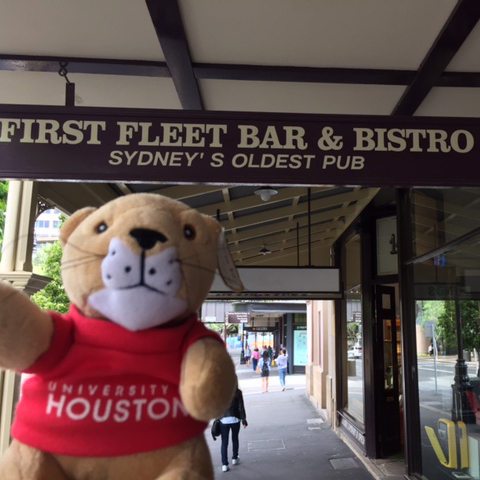 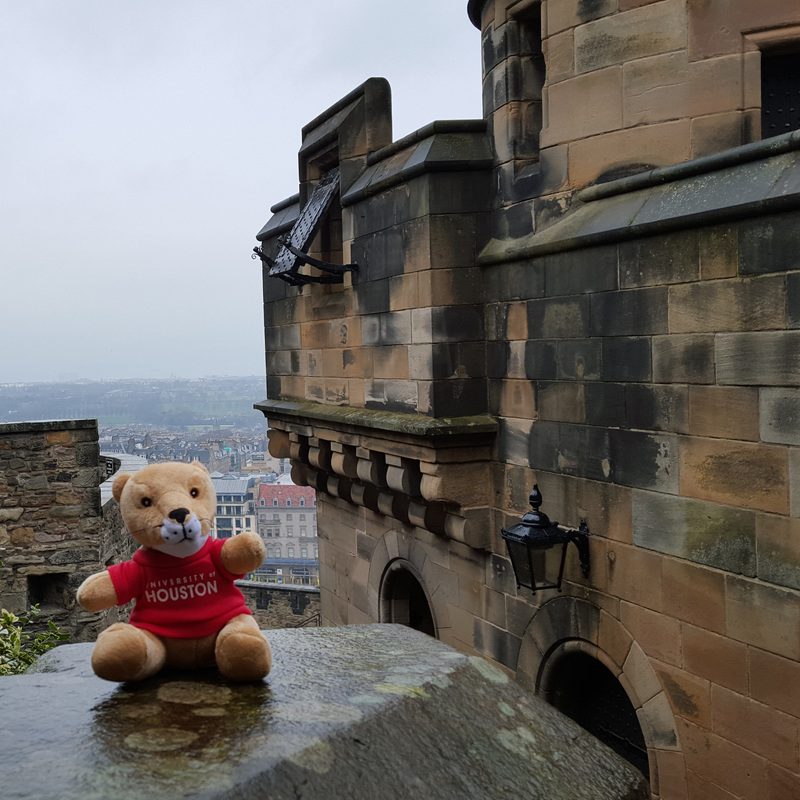 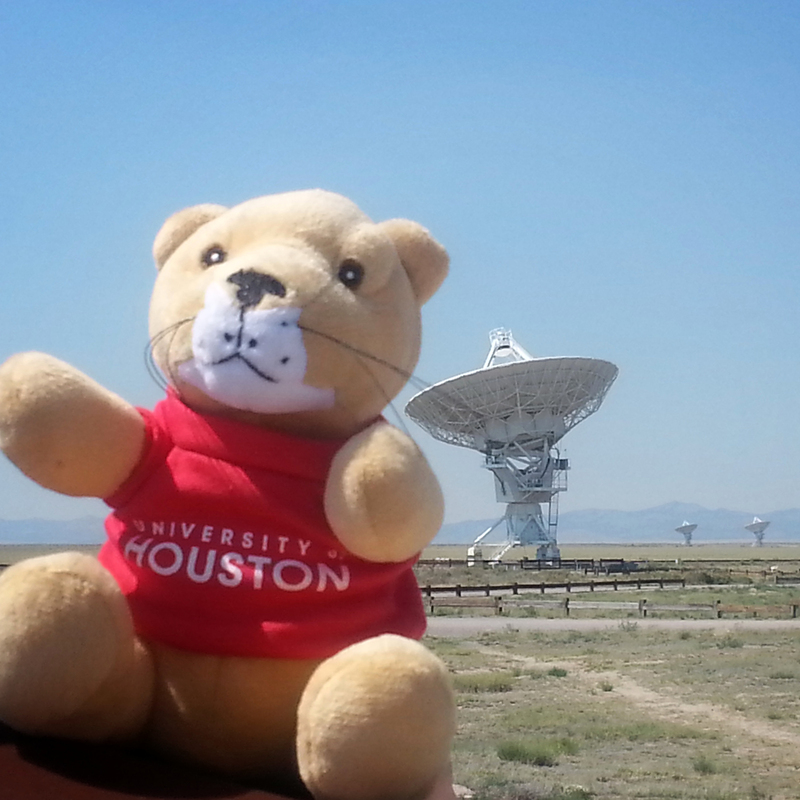 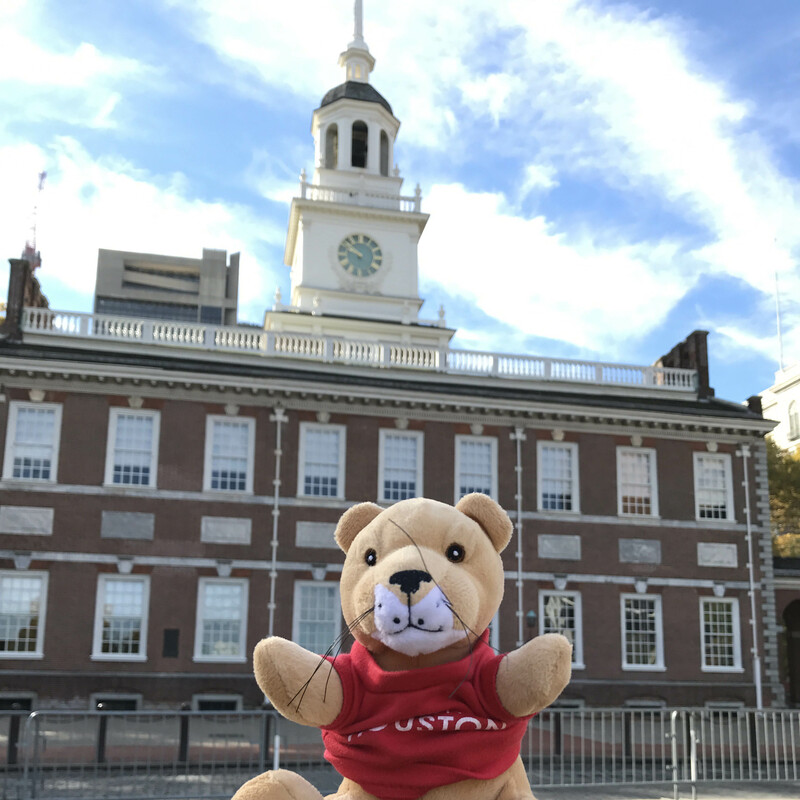 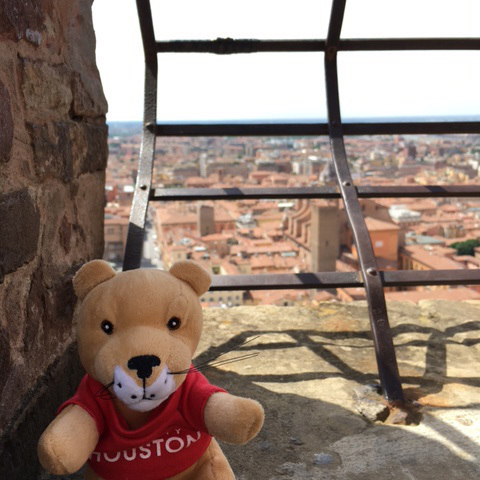 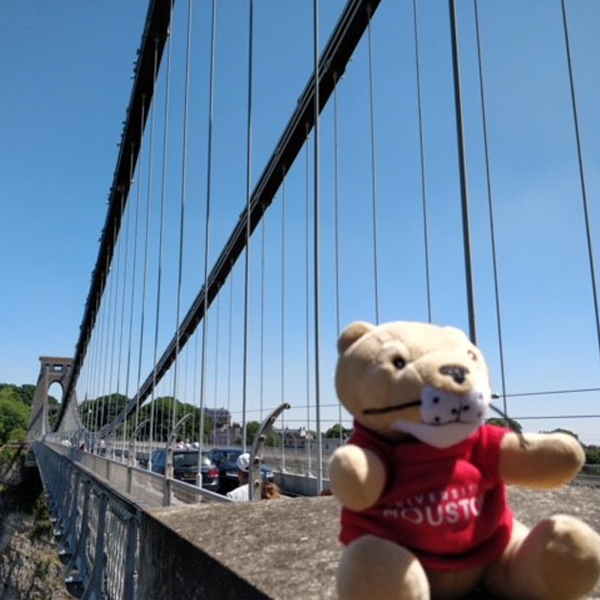 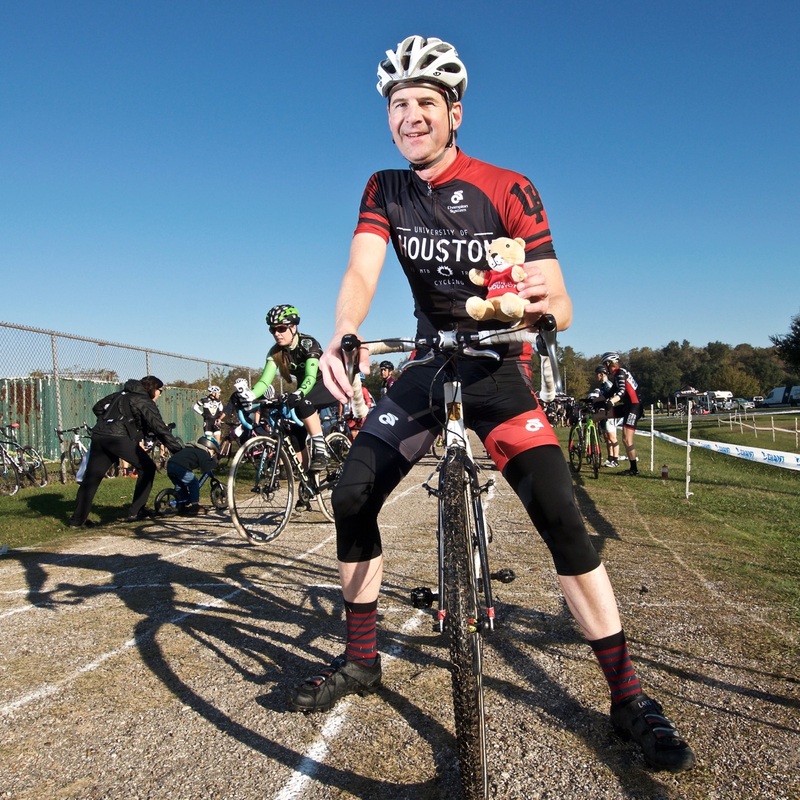 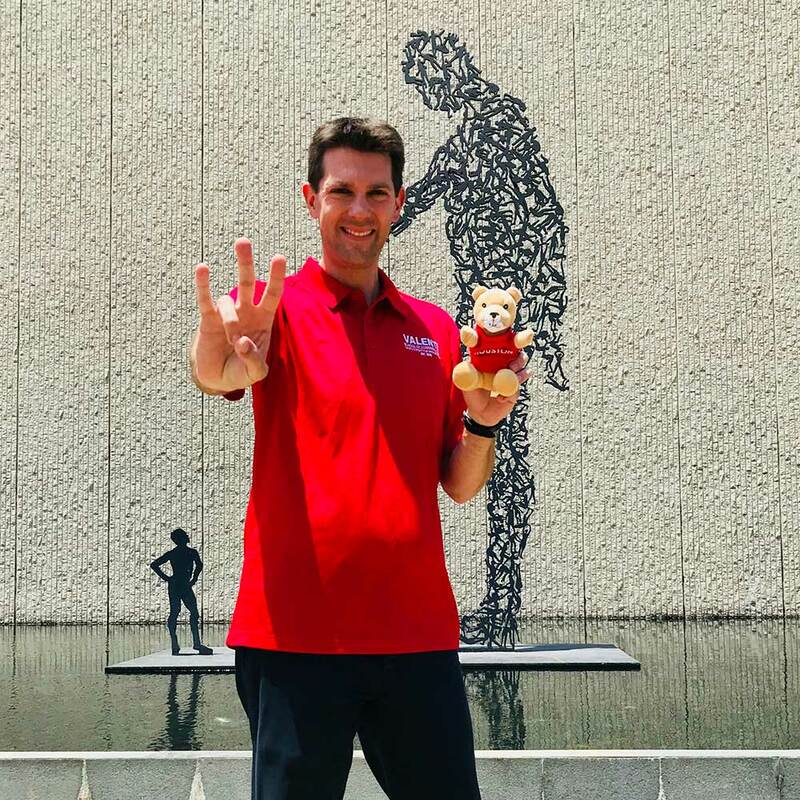 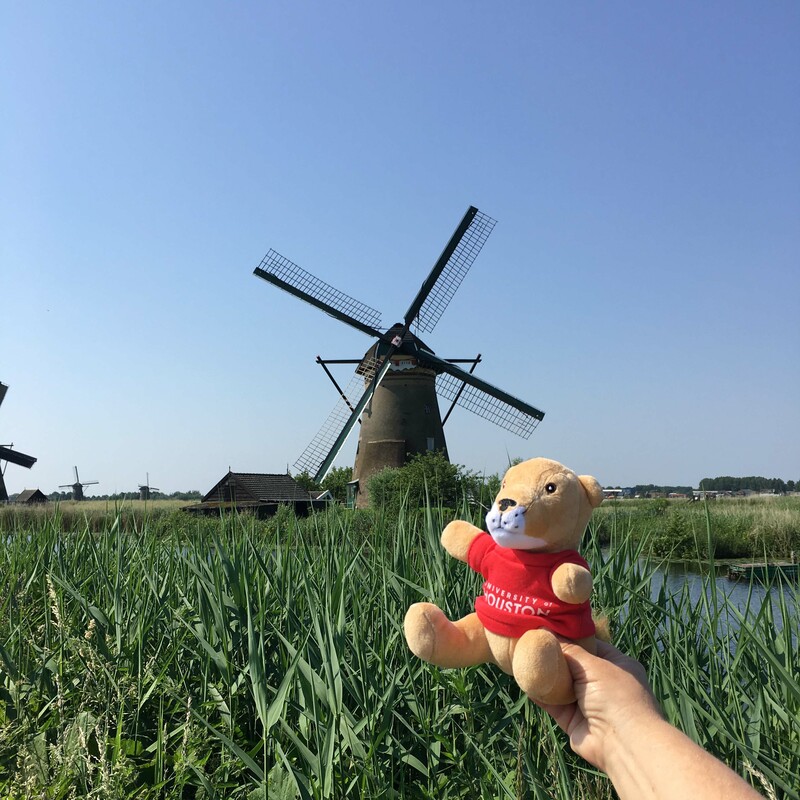 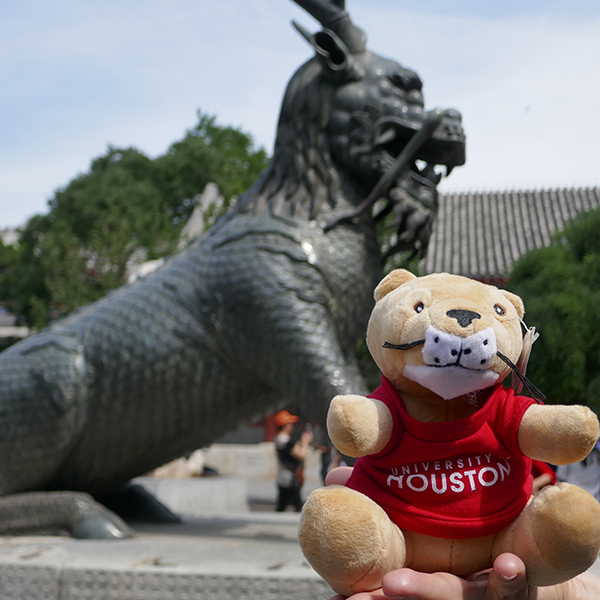 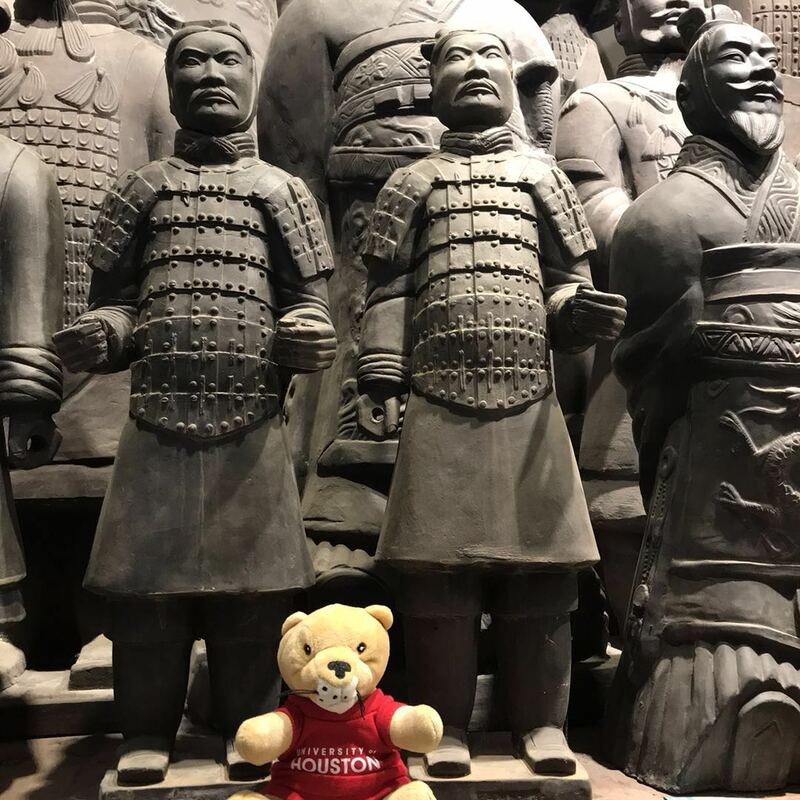 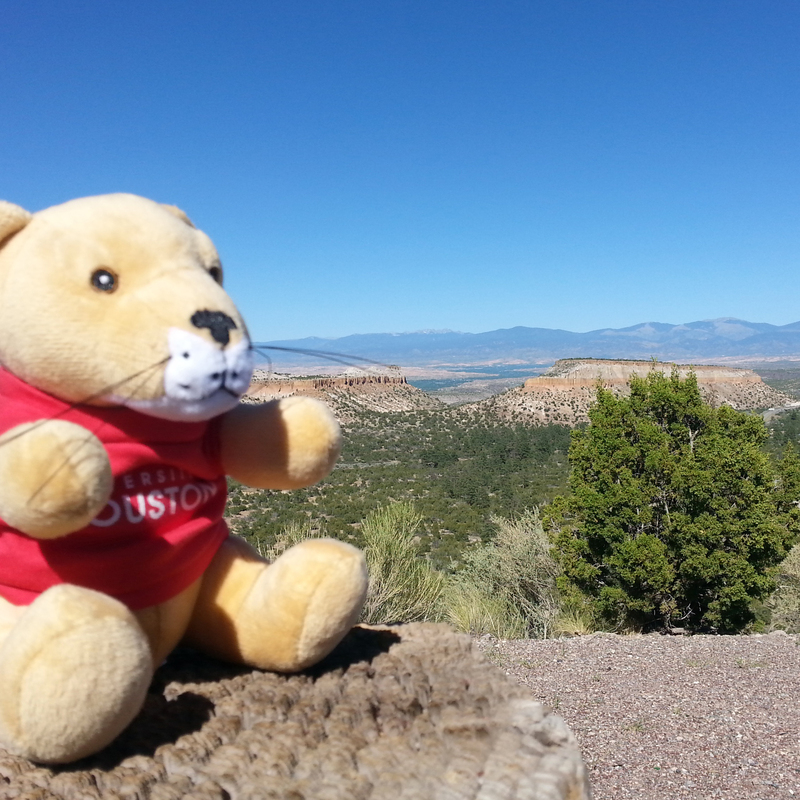 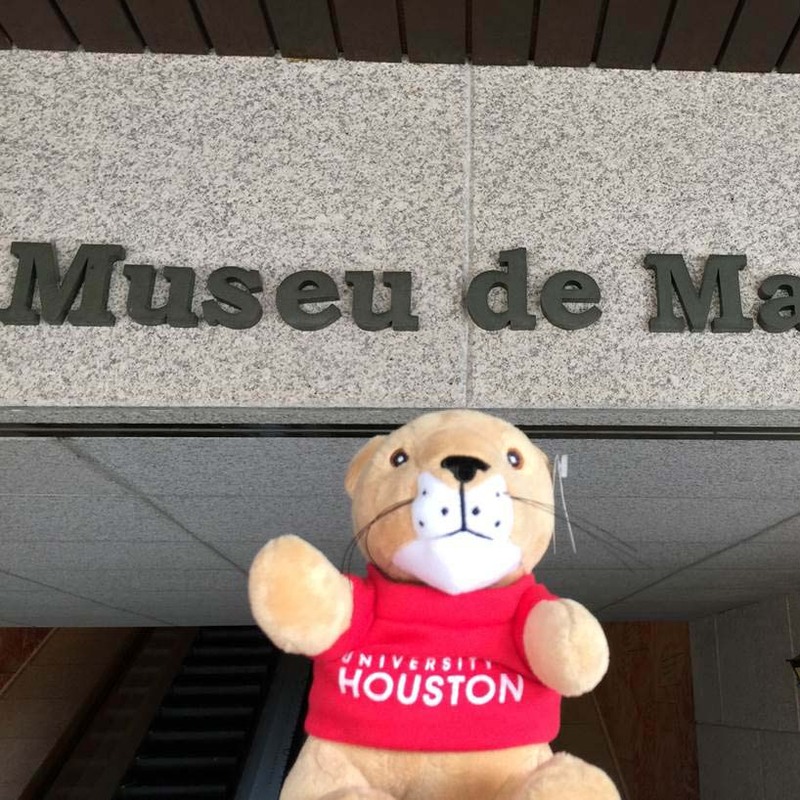 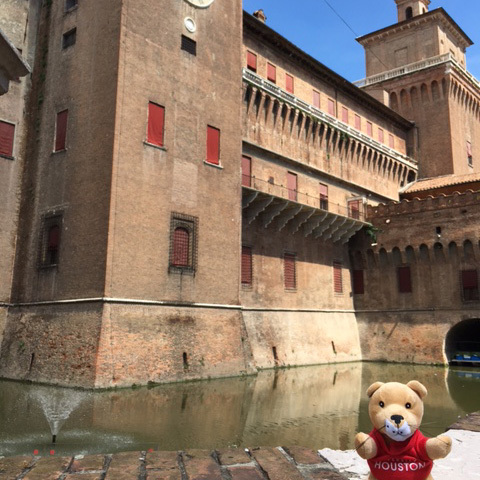 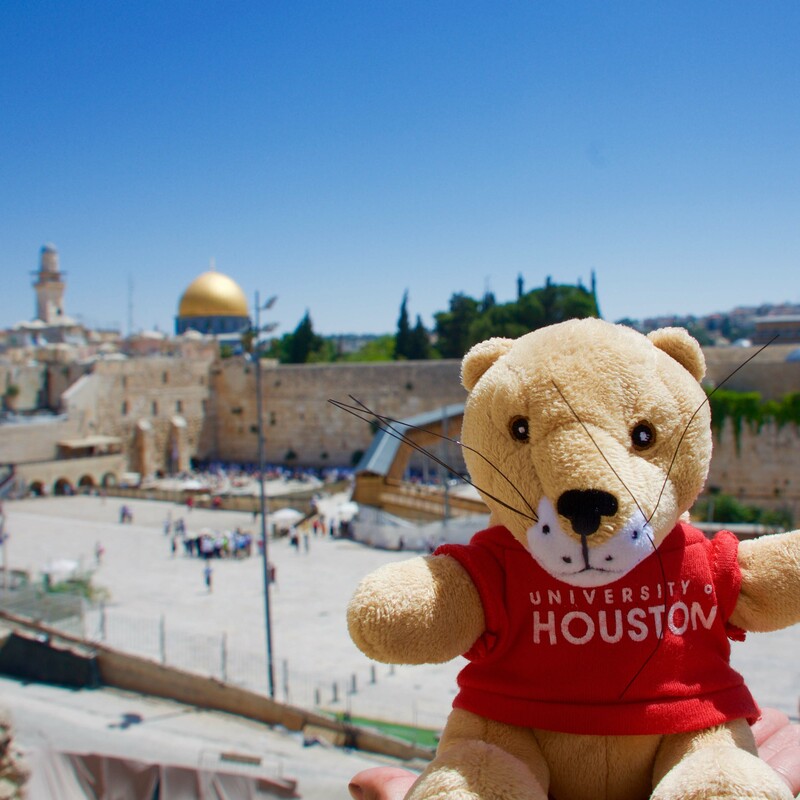 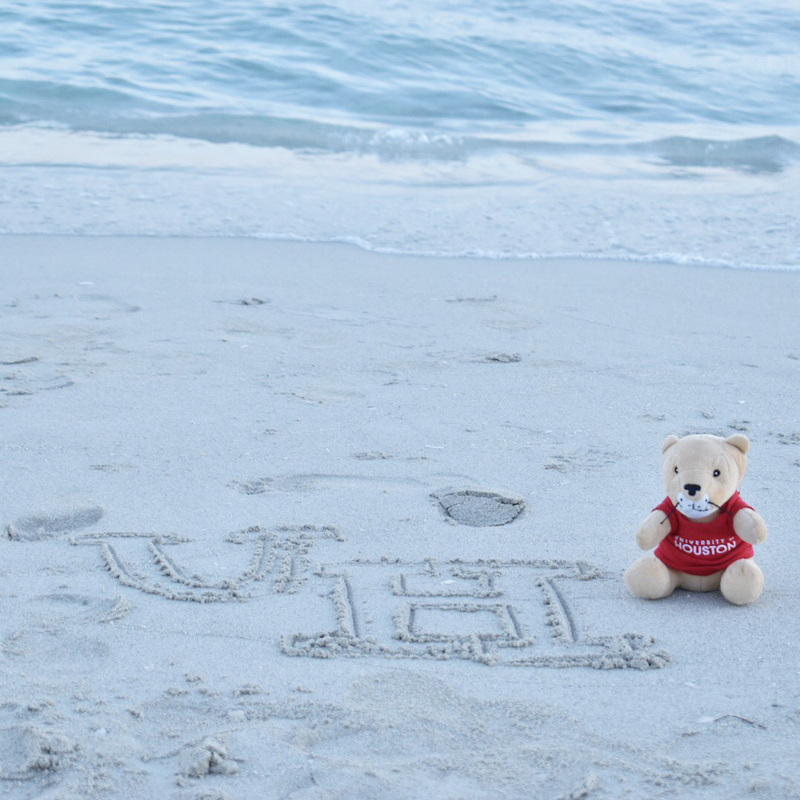 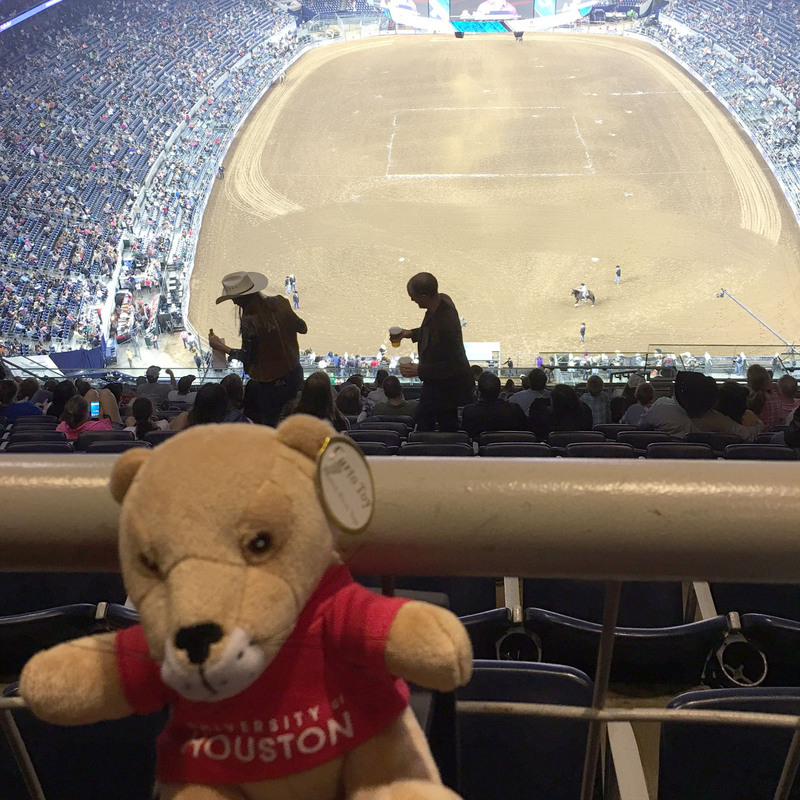 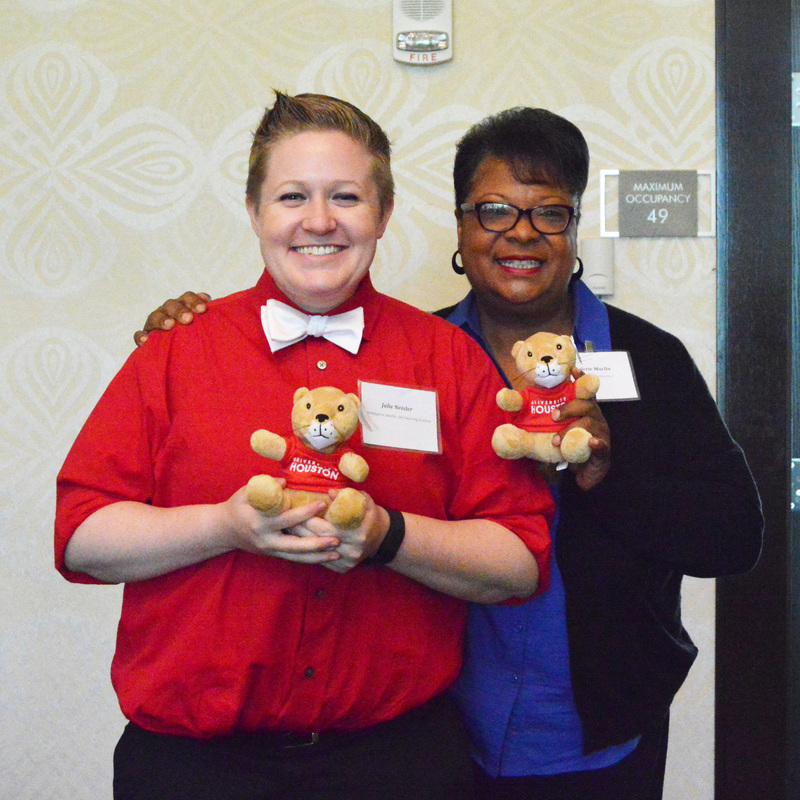 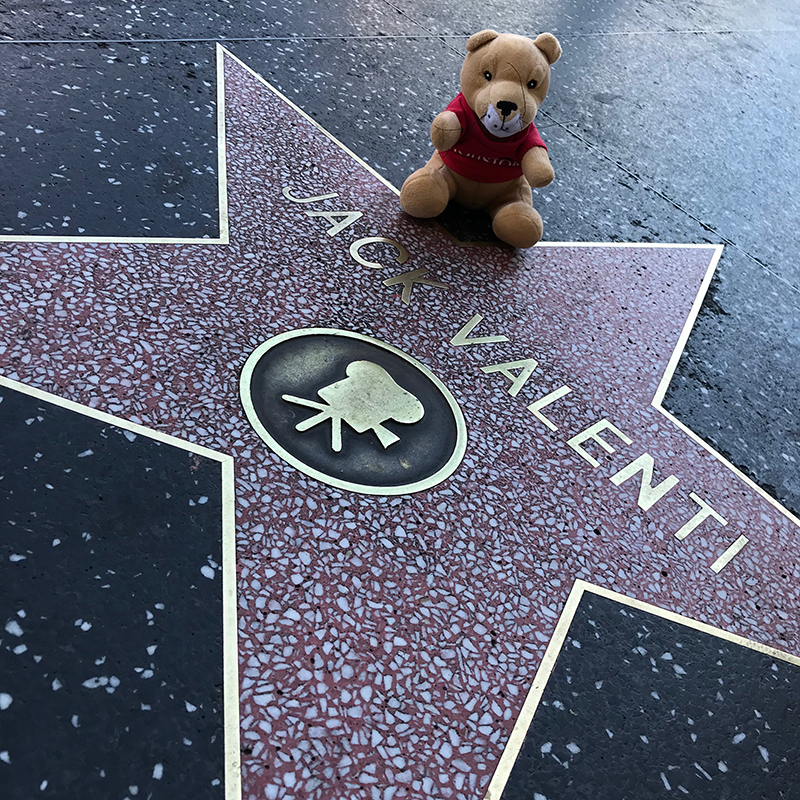 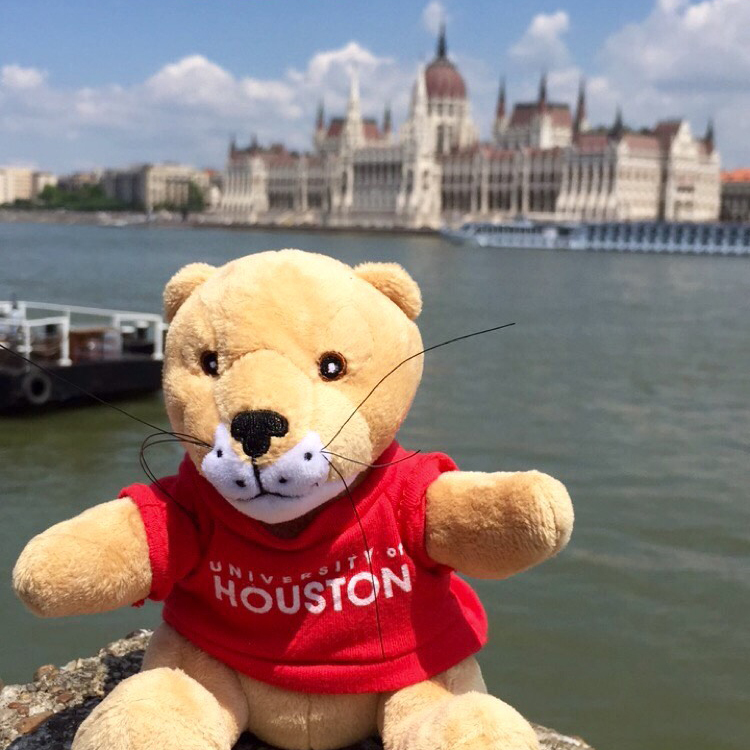 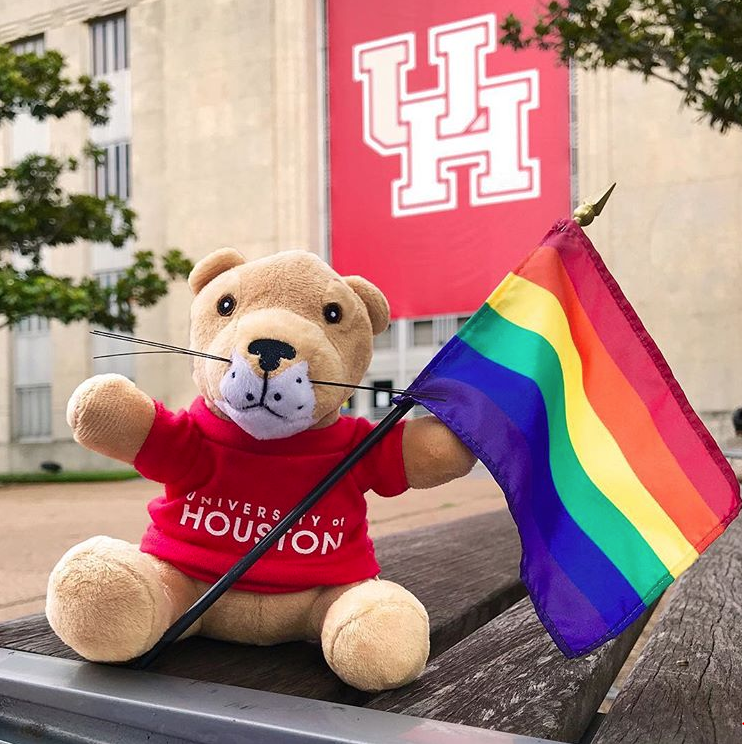 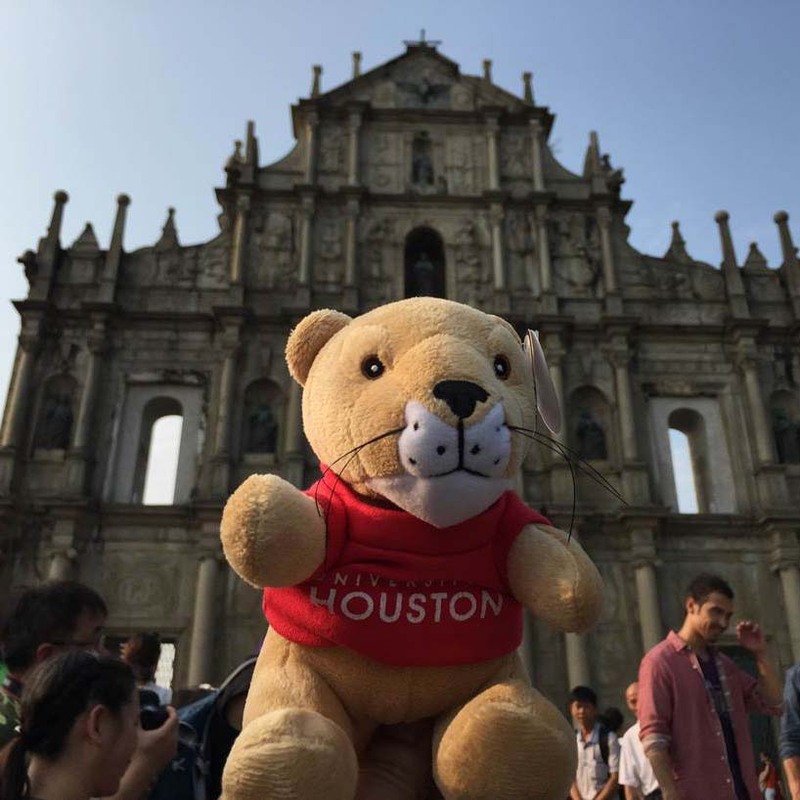 To submit a photo for Travels with Shasta, please email provost@uh.edu. 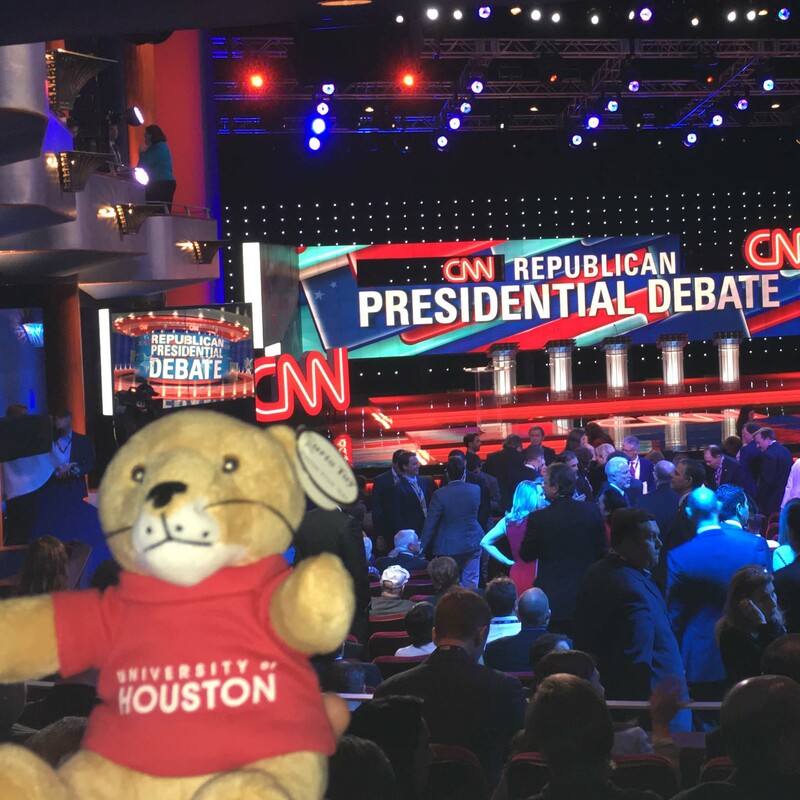 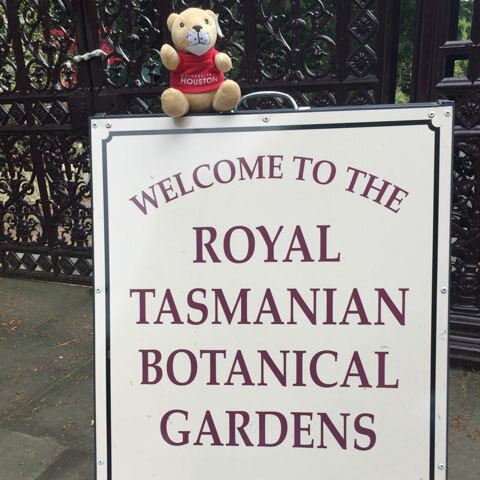 Where has Shasta been lately? 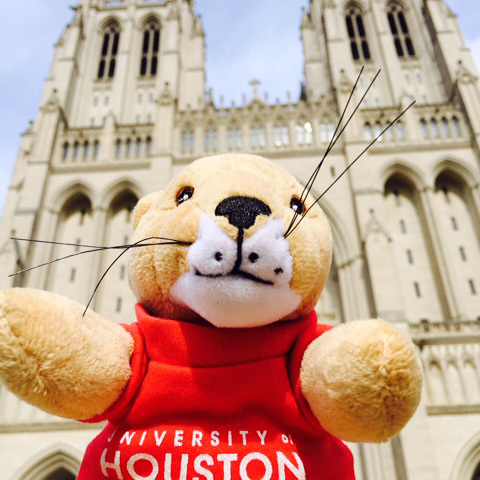 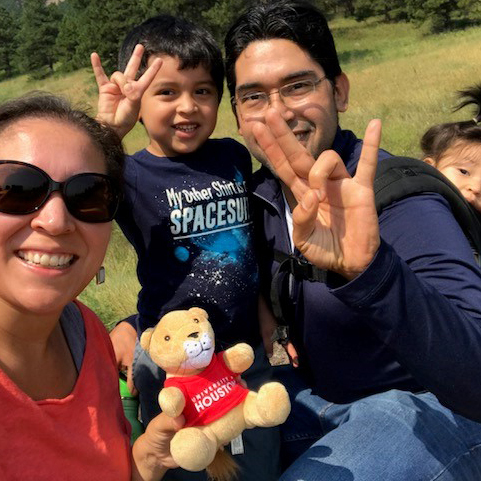 Submit your photo of Shasta to provost@uh.edu to be included on this page and in the Provost's social media! 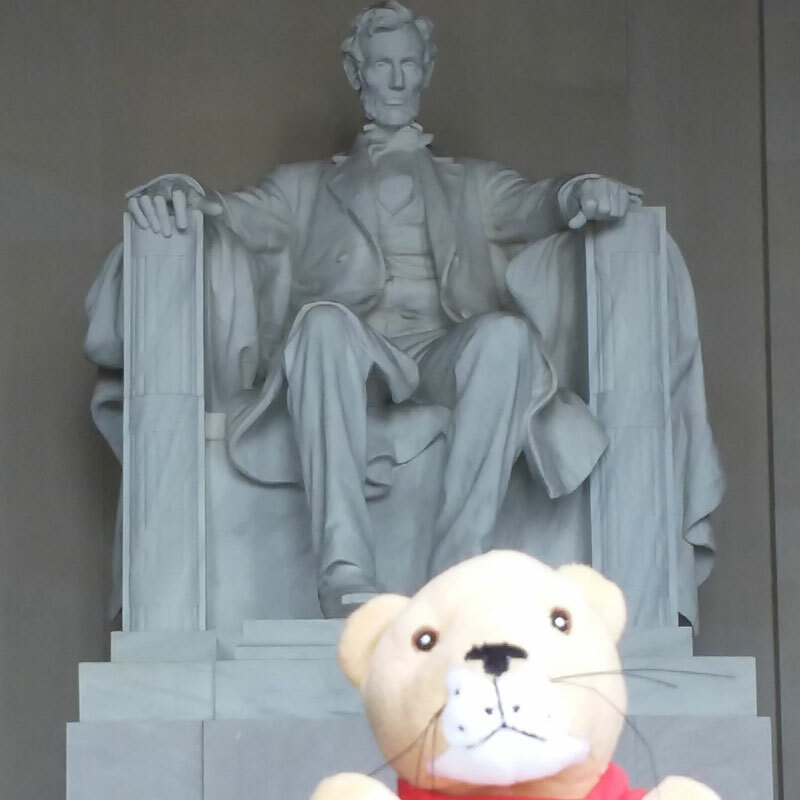 Shasta visits the Lincoln Memorial in Washington D.C.
Shasta visits the White House in Washington, D.C.
Shasta visits the Royal Botanical Gardens in Hobart Tasmania. 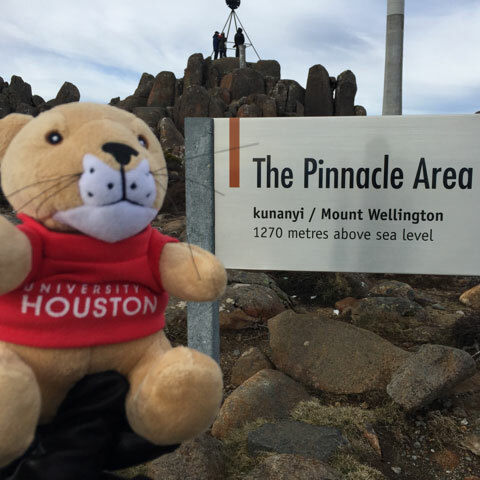 Shasta scales Mount Wellington in Tasmania. 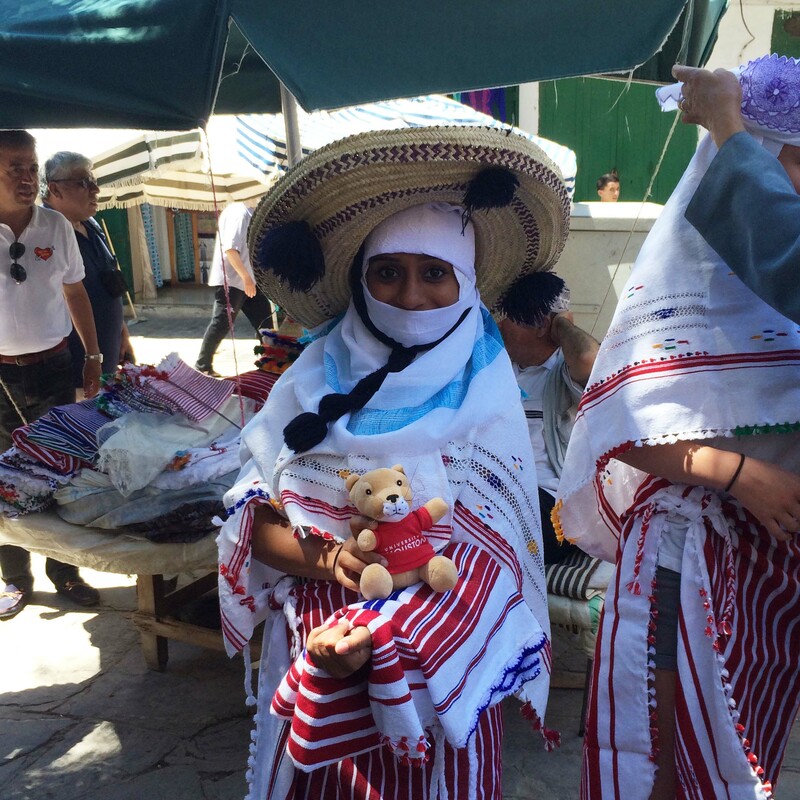 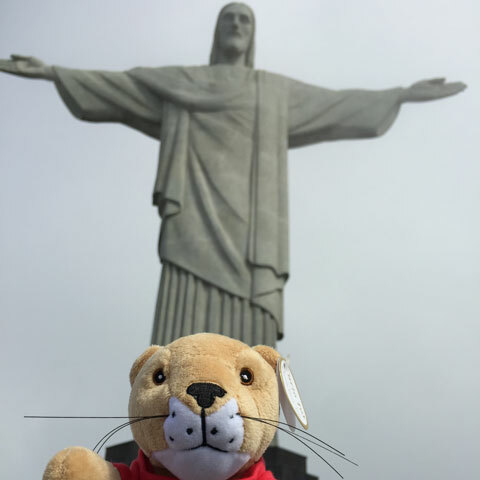 Shasta enjoys a visit to Rio de Janerio, Brazil. 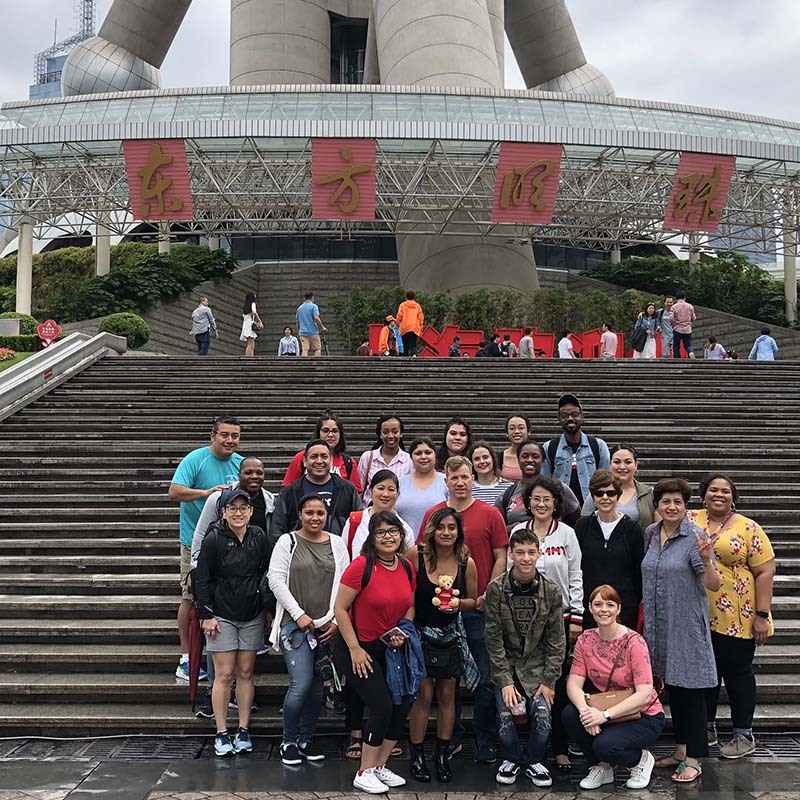 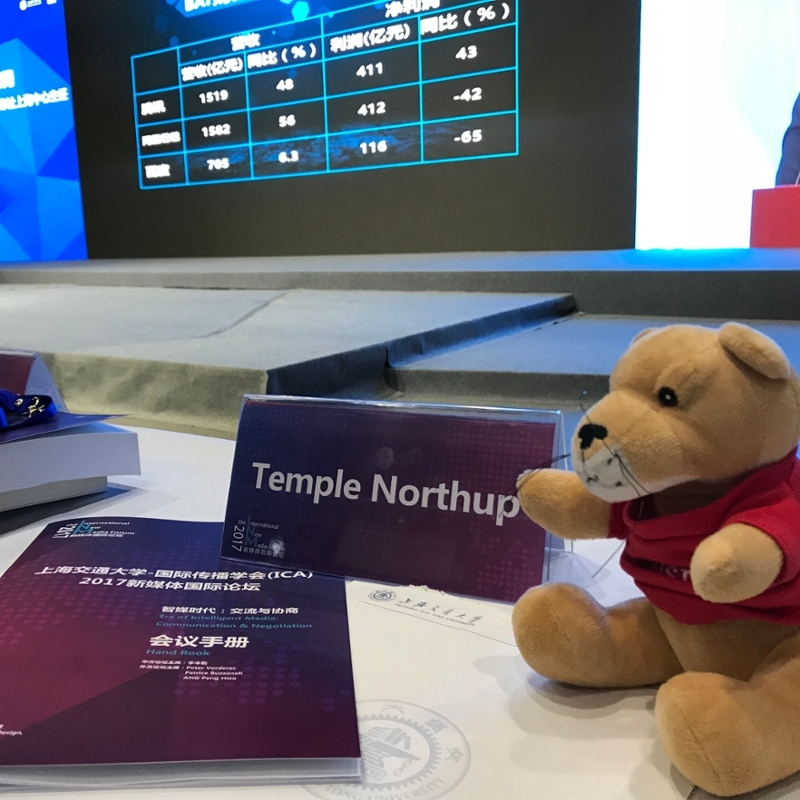 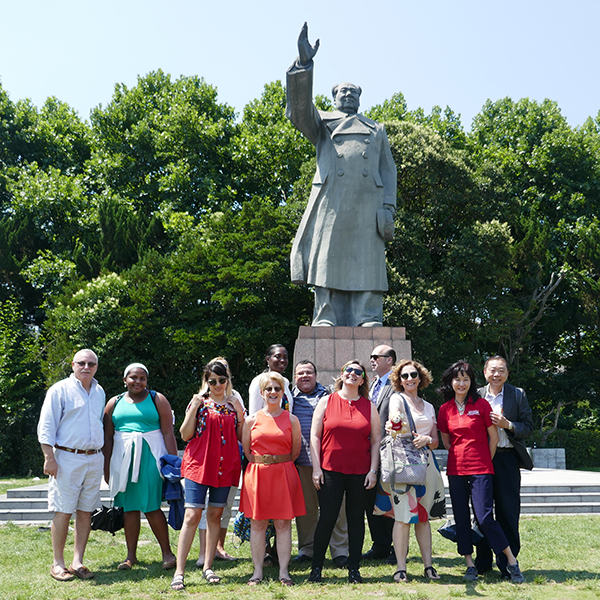 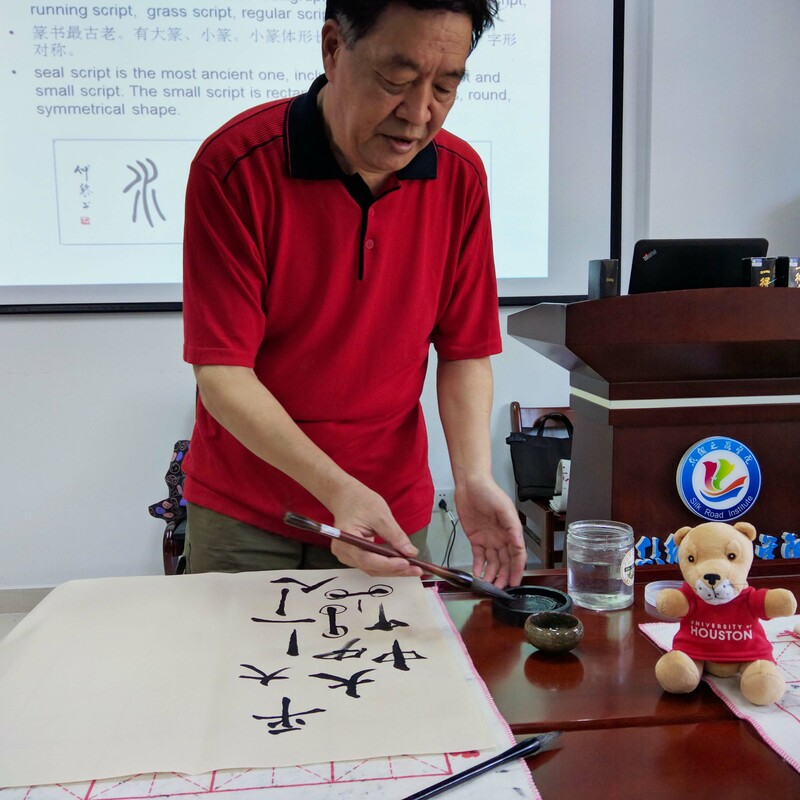 Shasta accompanied Valenti School of Communication Director Temple Northup to Shanghai, China to attend the 2017 International New Media Forum, where Dr. Northup gave a keynote address. 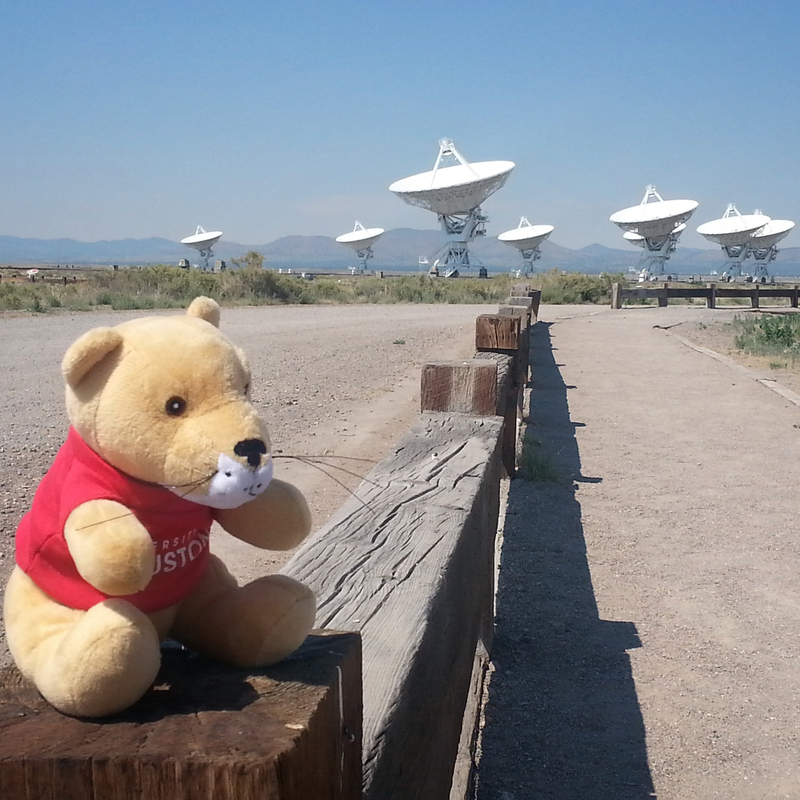 Shasta at the National Radio Astronomy Observatory (NRAO) Karl G. Jansky Very Large Array. 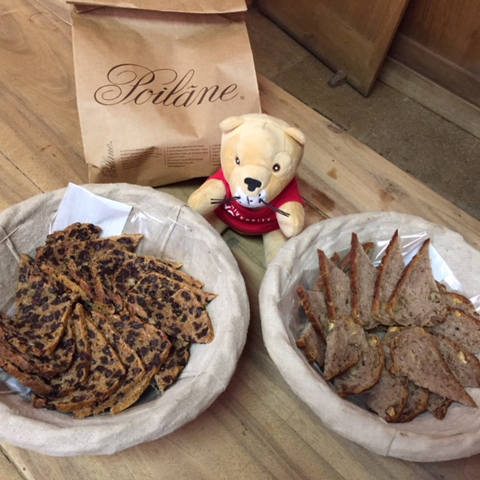 Shasta enjoying the food in Paris for the C.T. 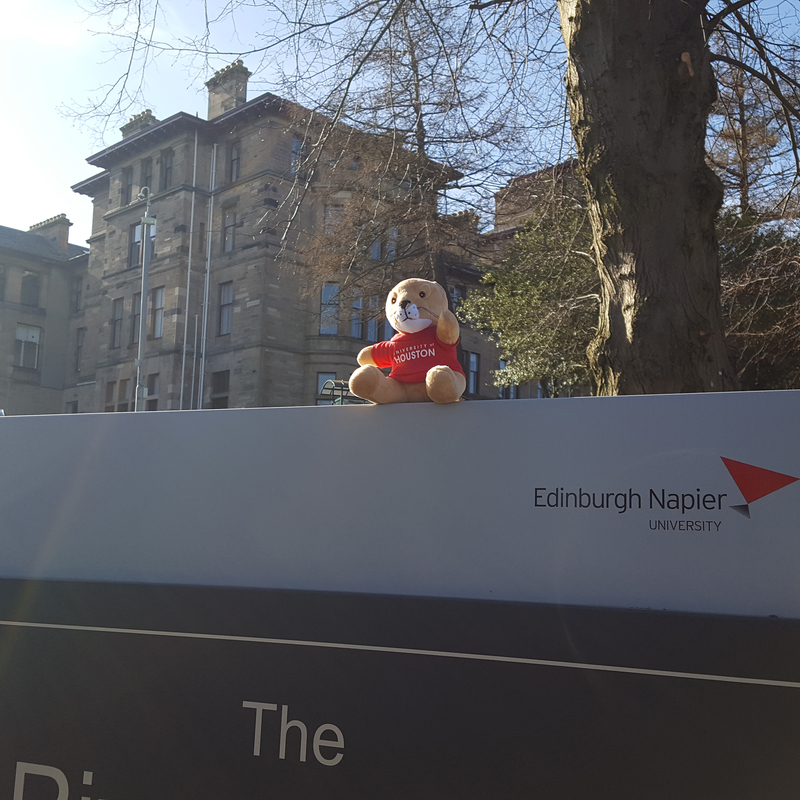 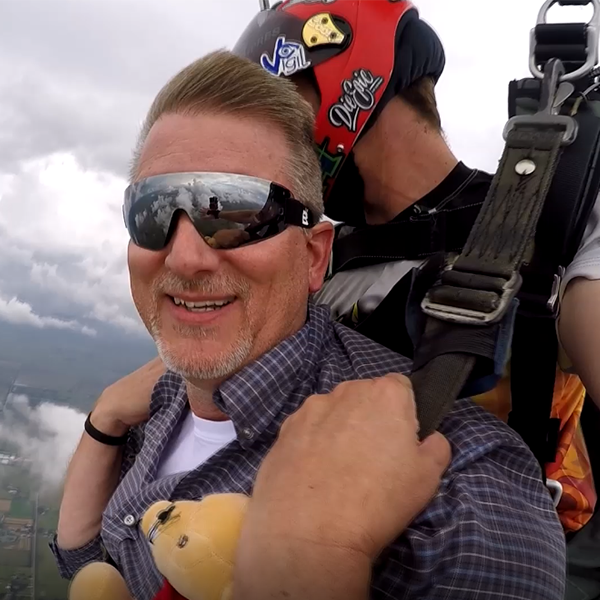 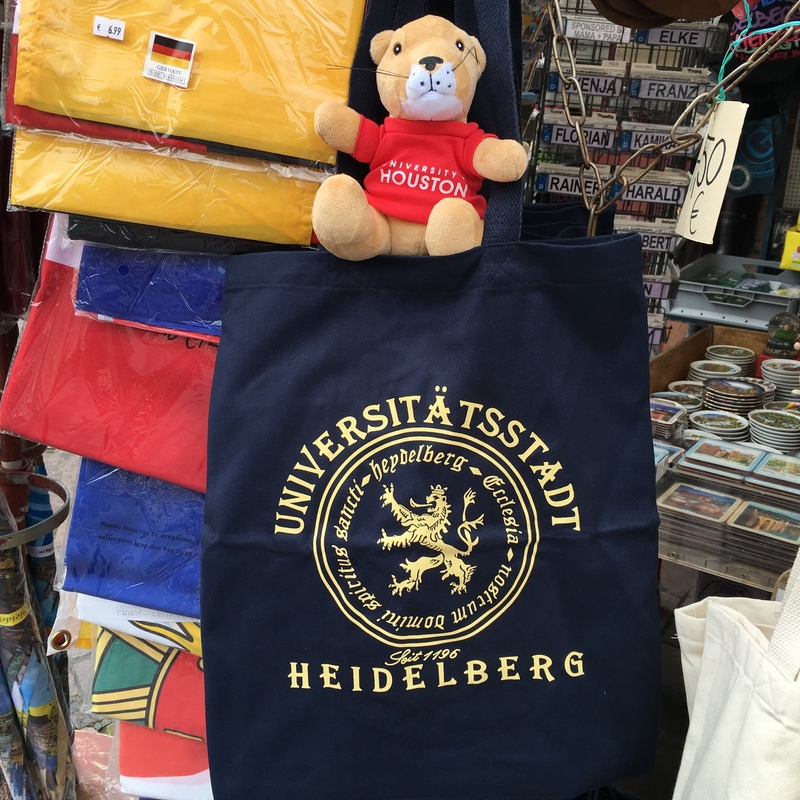 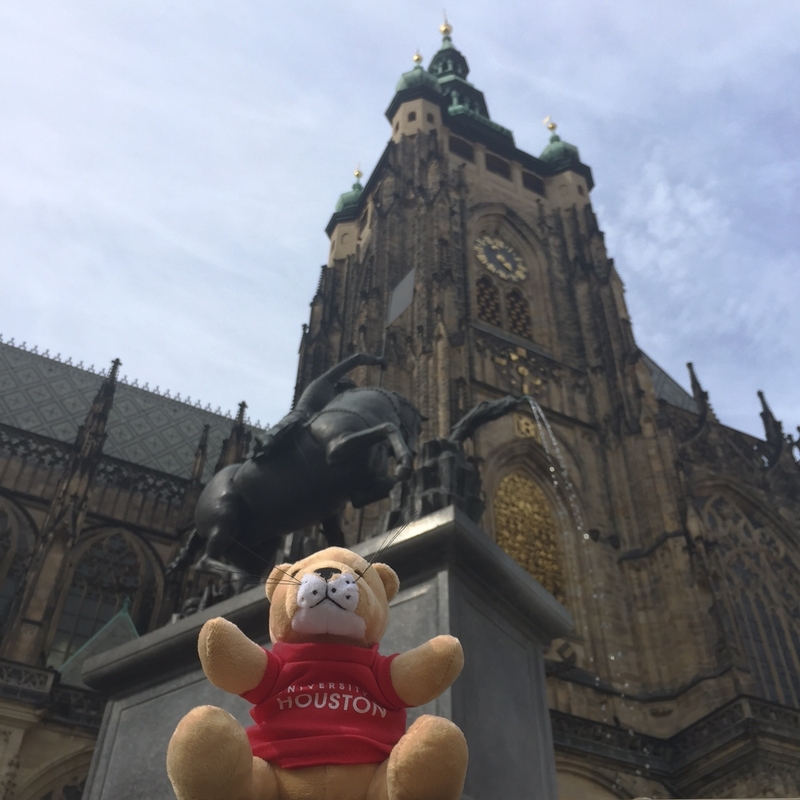 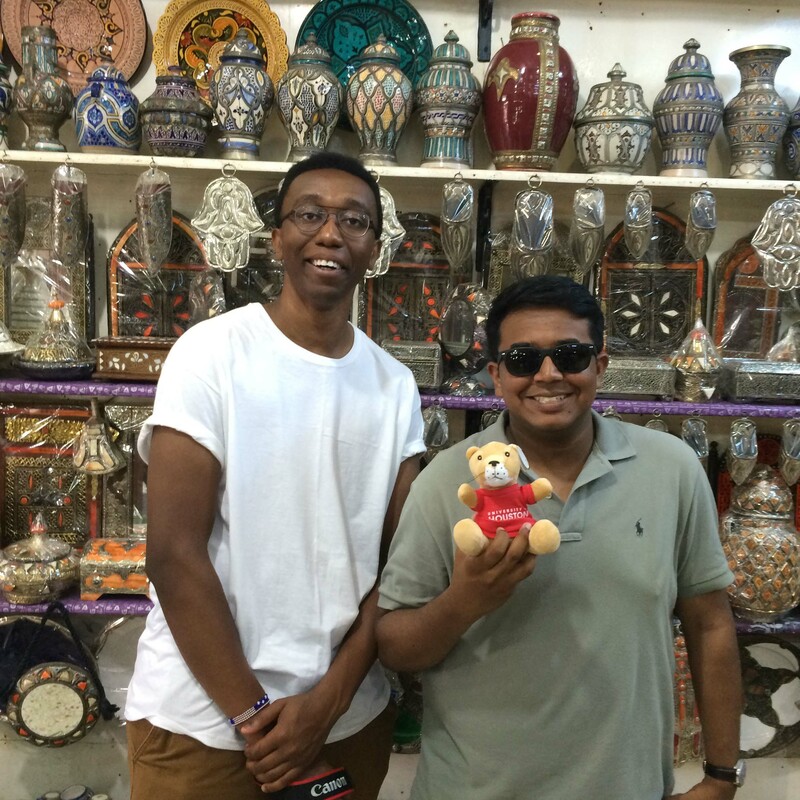 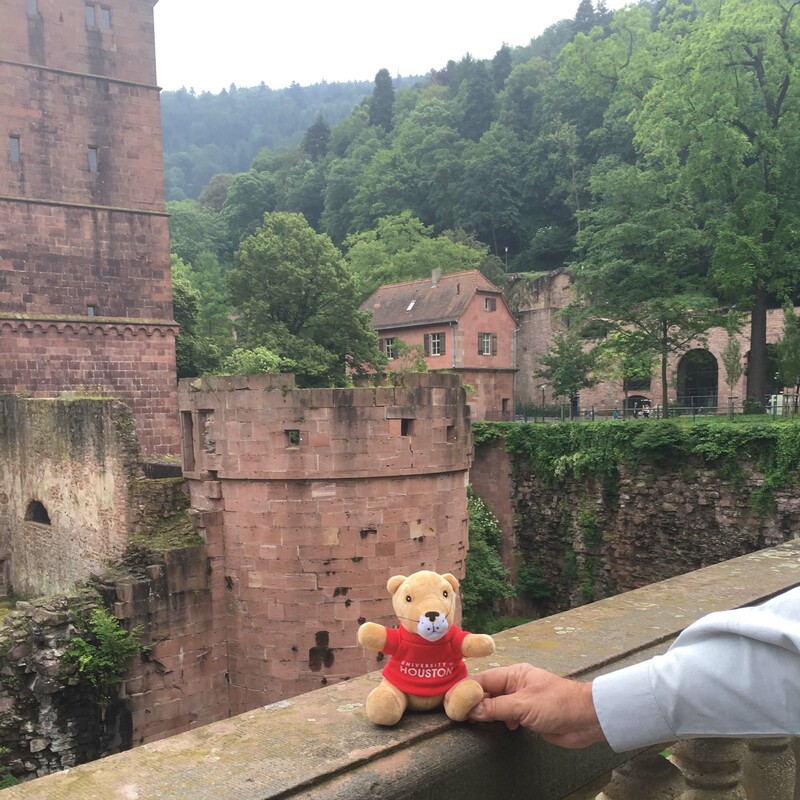 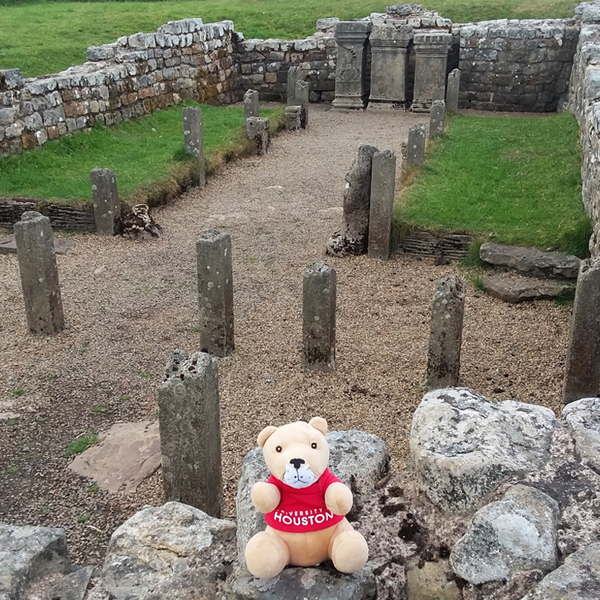 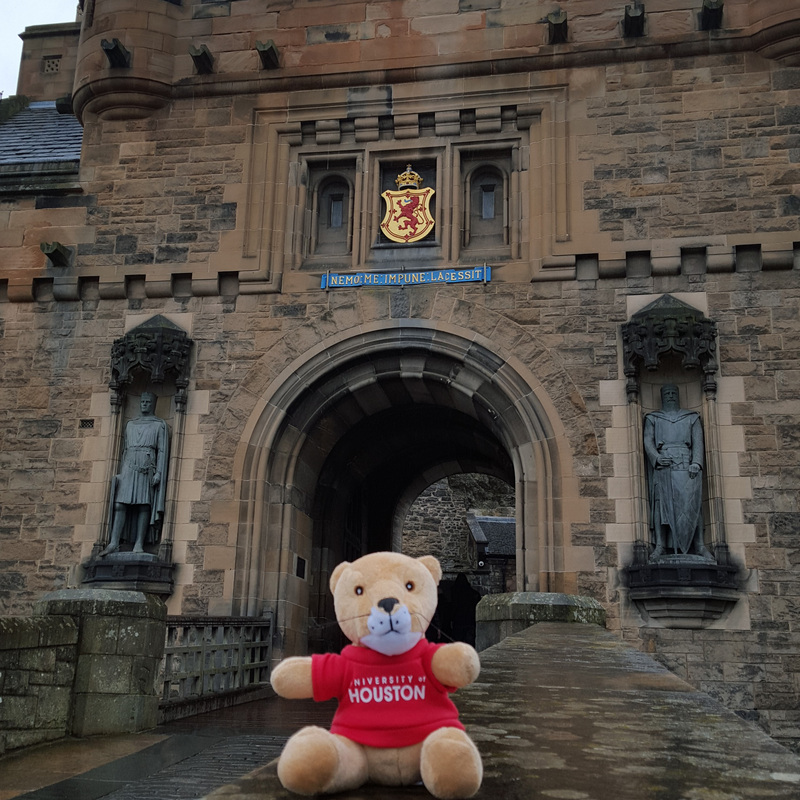 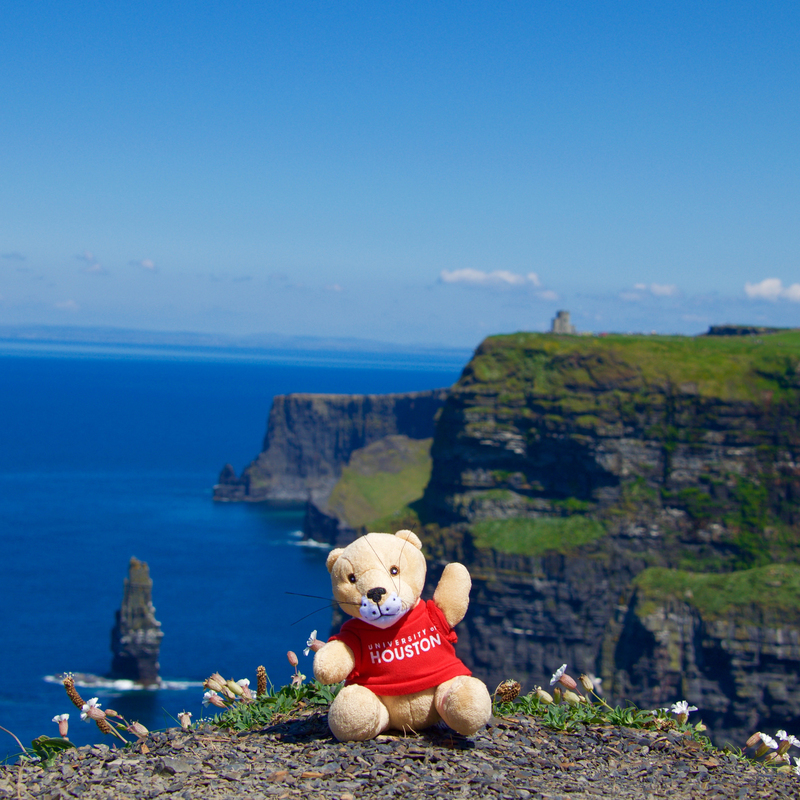 Bauer College of Business study abroad. 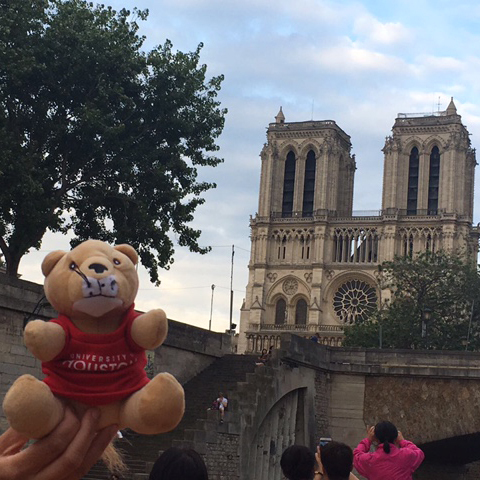 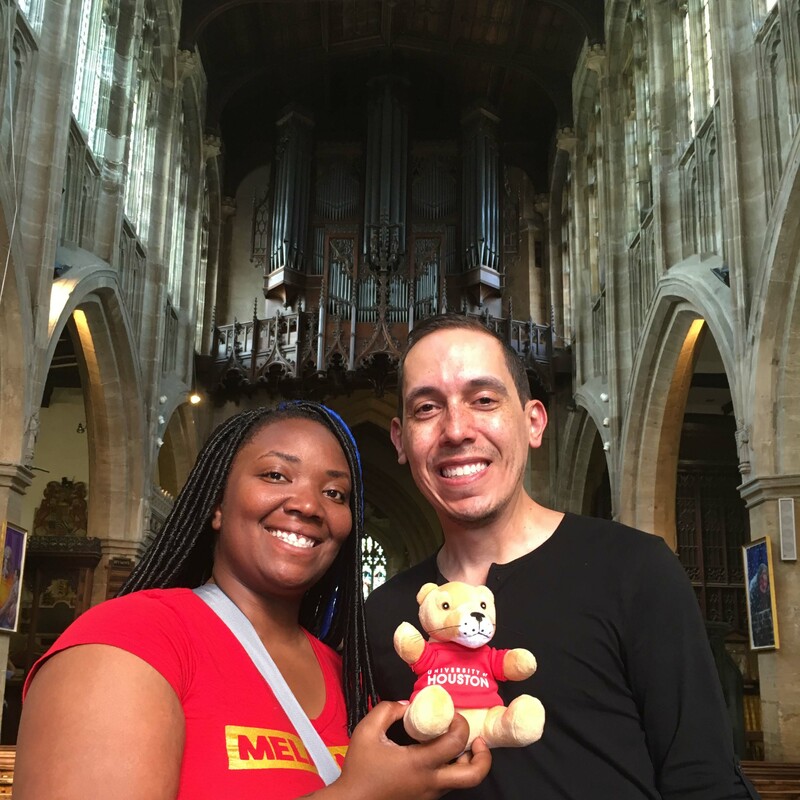 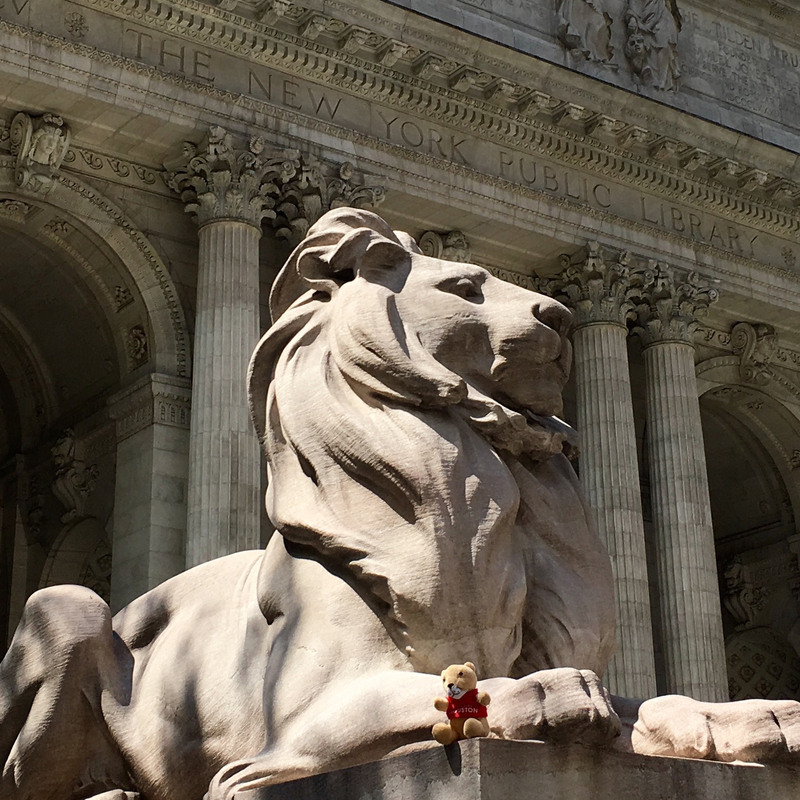 Shasta visits Notre-Dame Cathedral in Paris for the C.T. 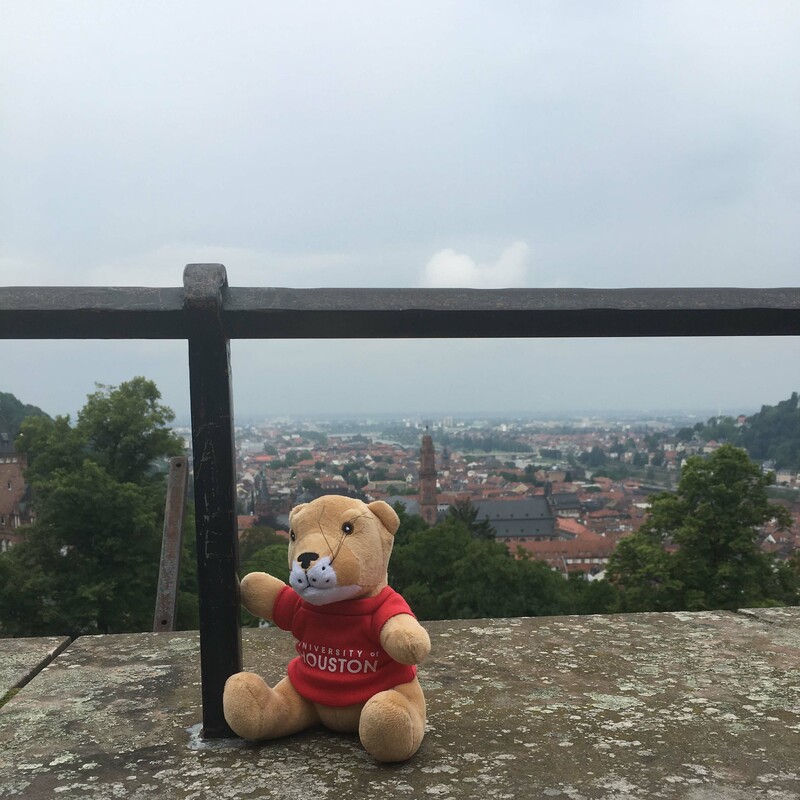 Bauer College of Business study abroad. 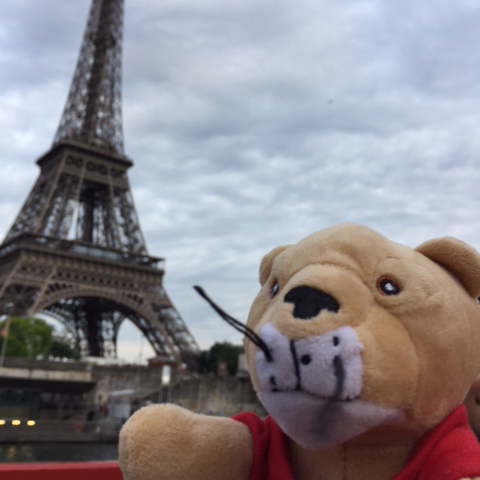 Shasta at the Eiffel Tower in Paris for the C.T. 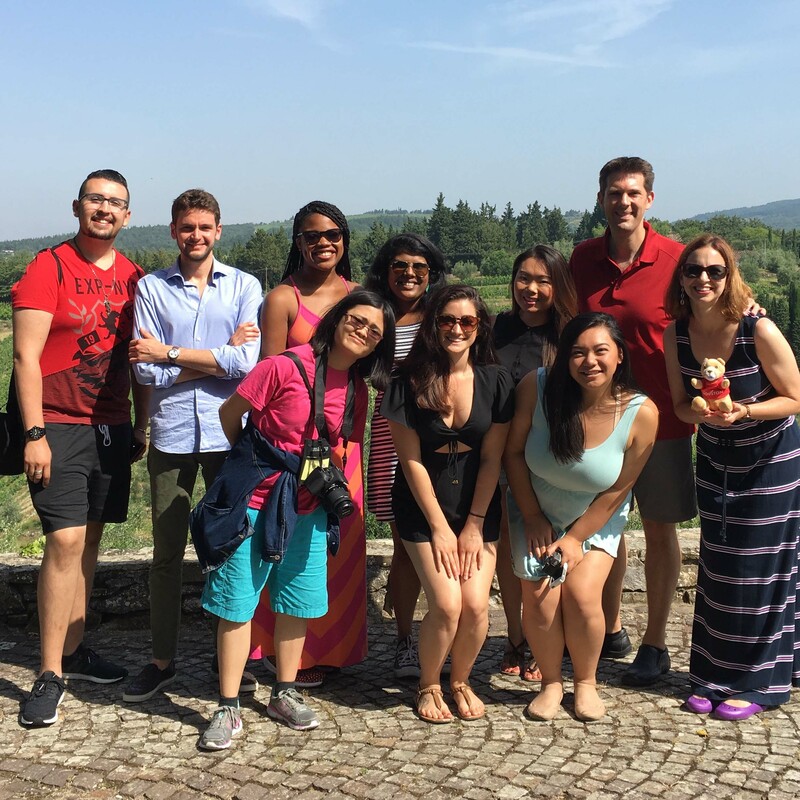 Bauer College of Business study abroad. 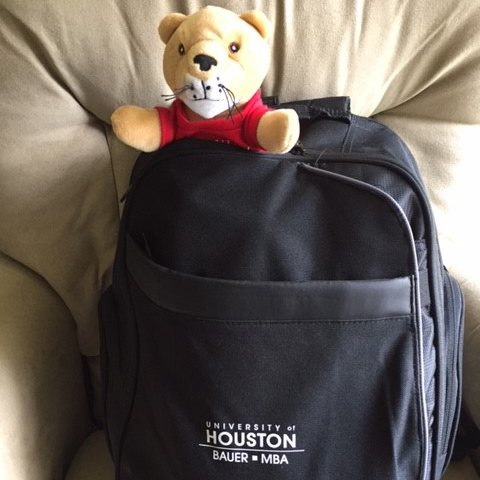 Shasta is packed and ready to travel to Paris for the C.T. 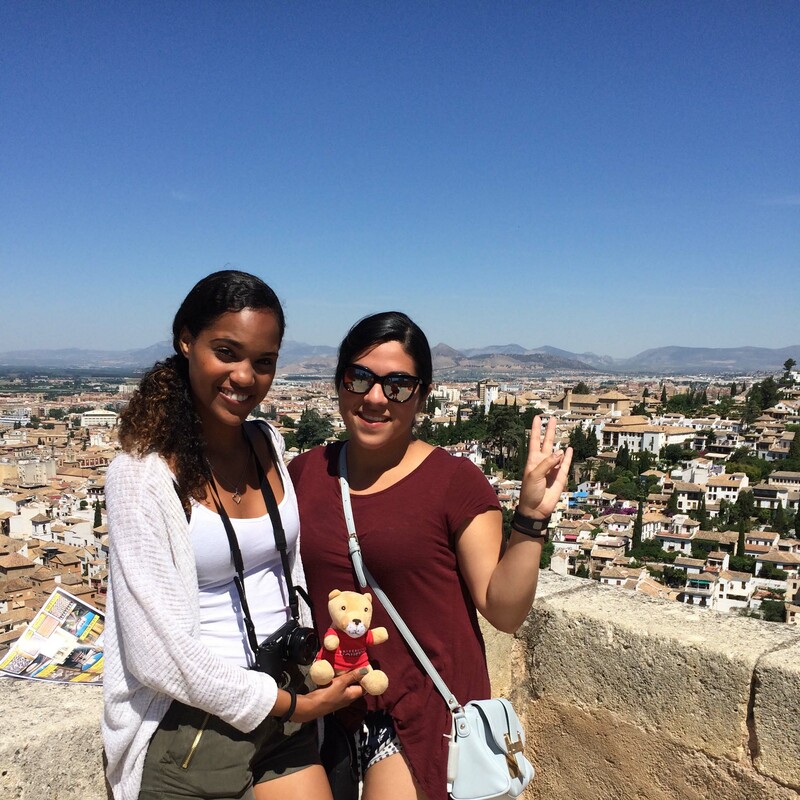 Bauer College of Business study abroad. 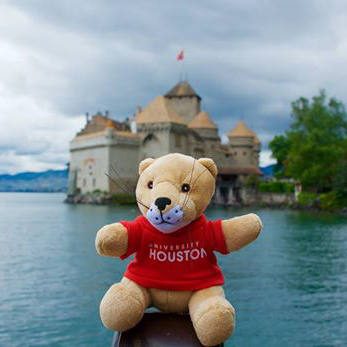 Shasta in Lausanne, Switzerland, attending the invitation-only Young Hoteliers Summit at École hôtelière de Lausanne with Hilton College students. 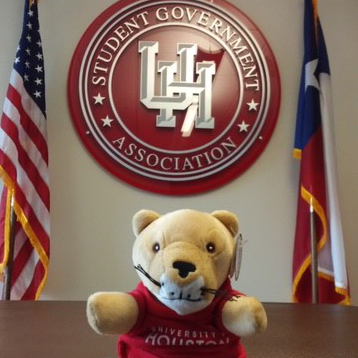 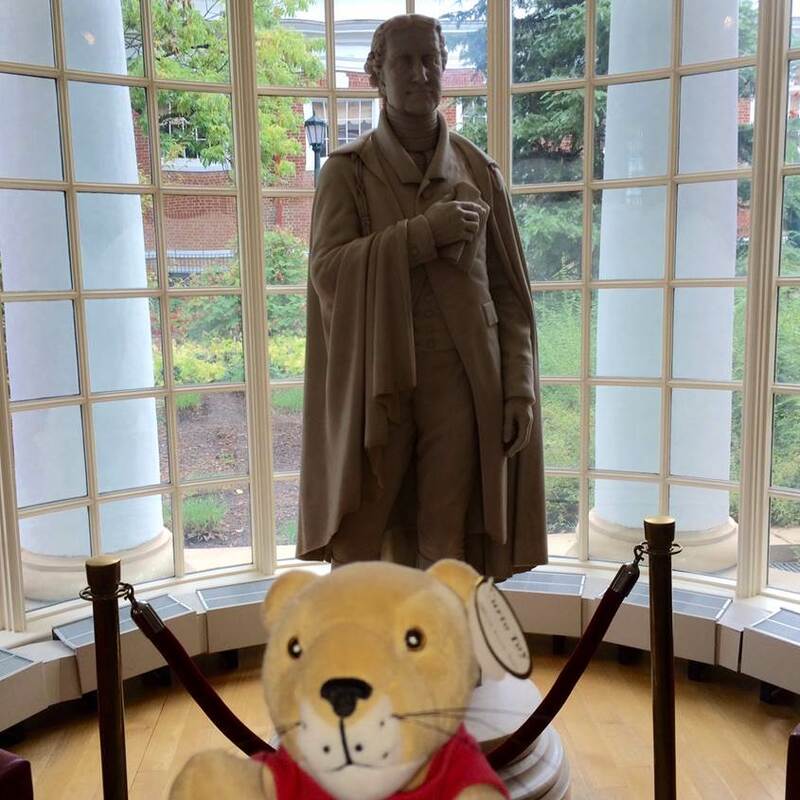 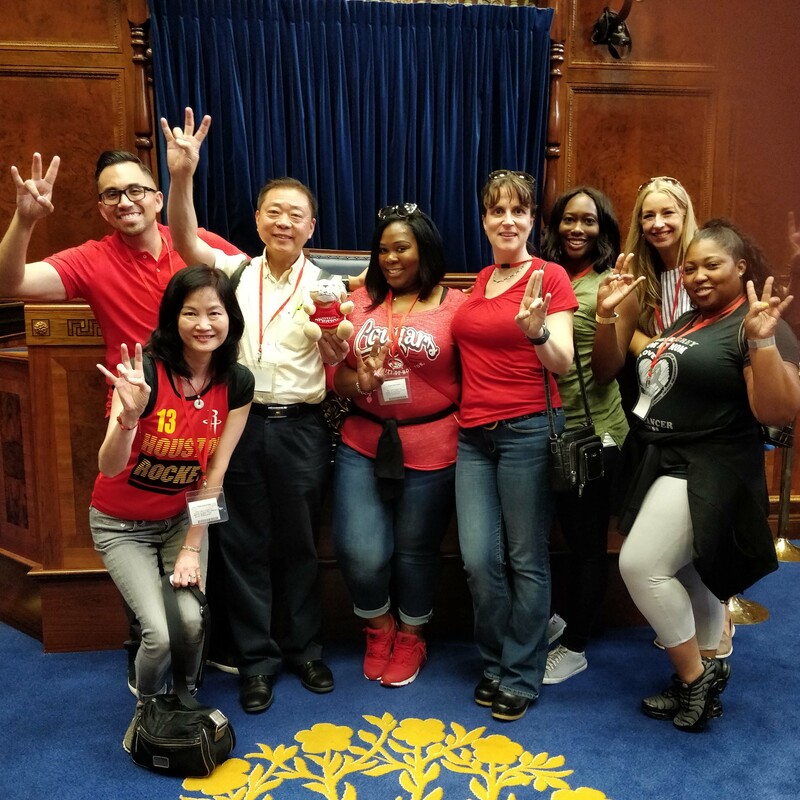 Shasta visits with the UH Student Government Association. 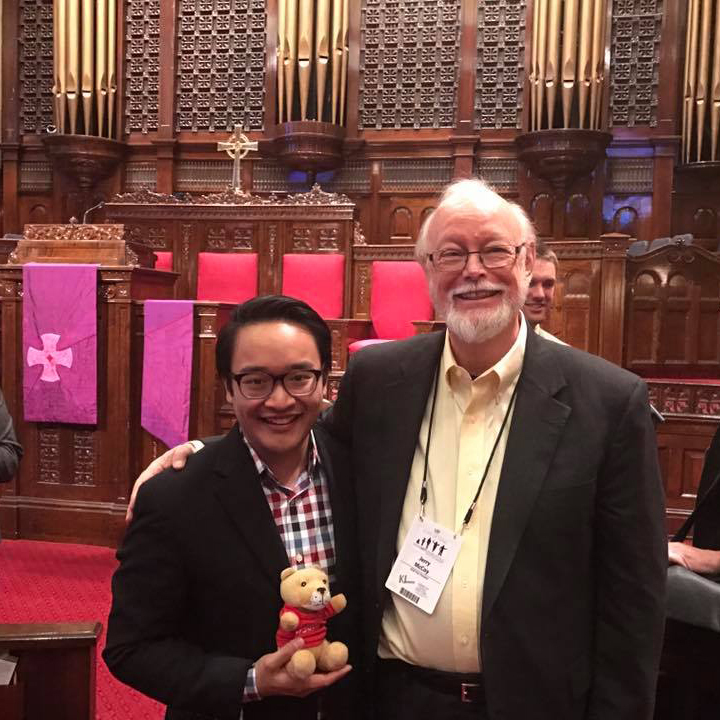 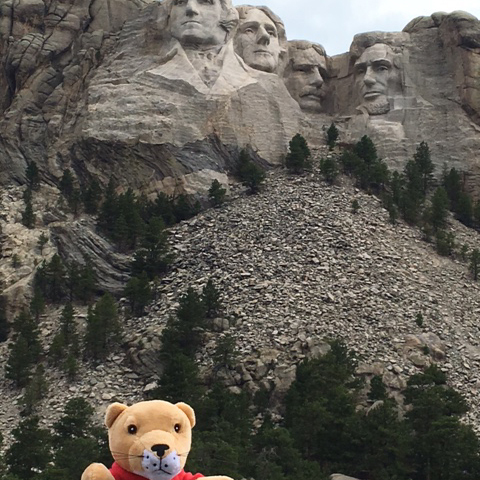 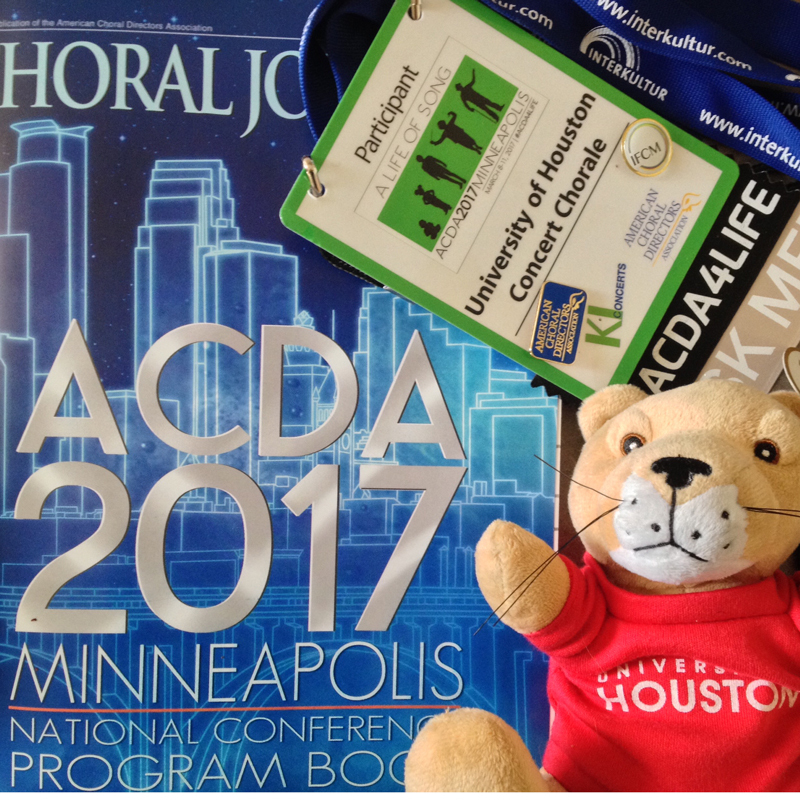 Shasta at the American Choral Directors Association (ACDA) conference in Minneapolis, MN. 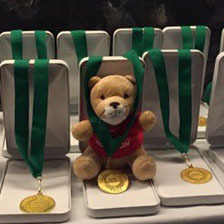 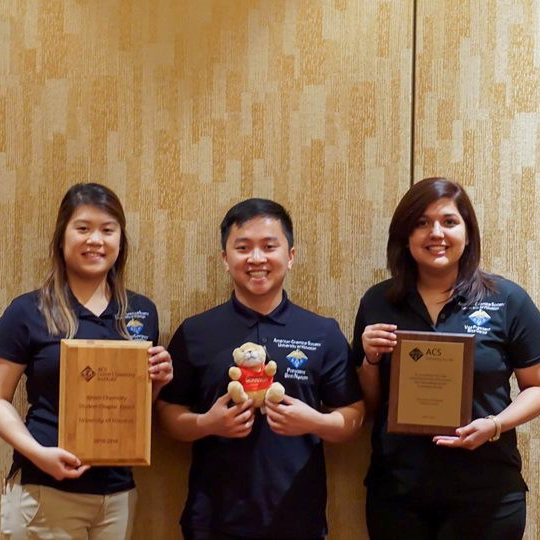 Shasta at the the 253rd ACS National Meeting in San Francisco, CA. 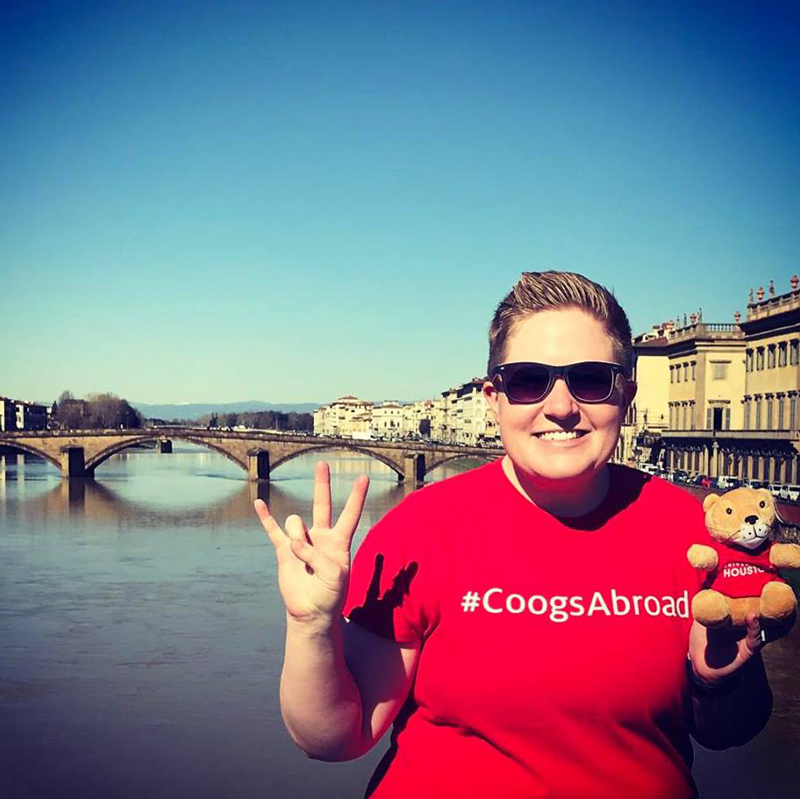 Shasta with Julie Neisler, a PhD Student from the College of Education in Florence, Italy. 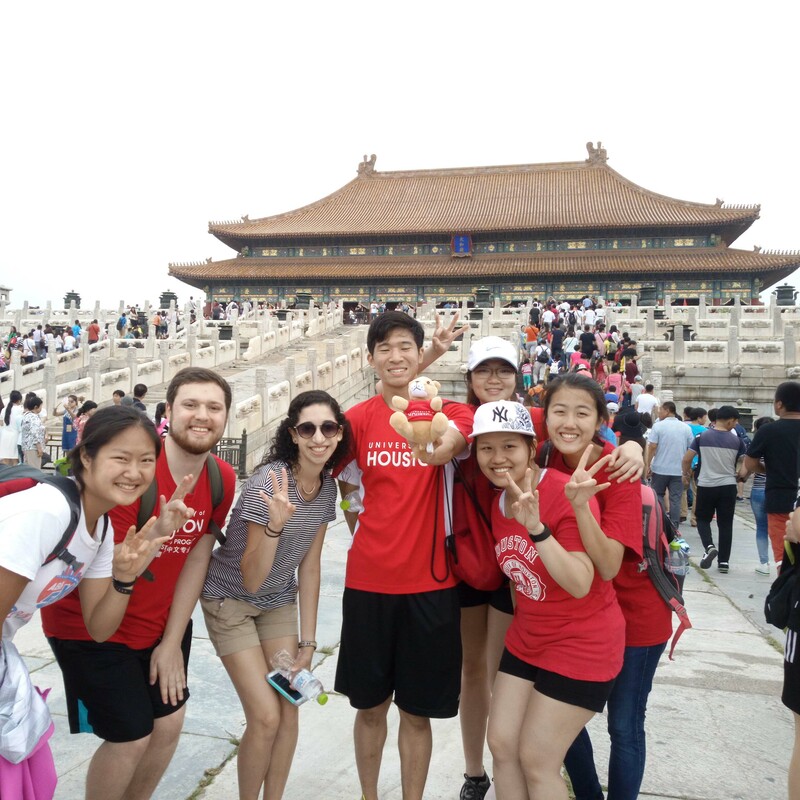 Discover more about Learning Abroad. 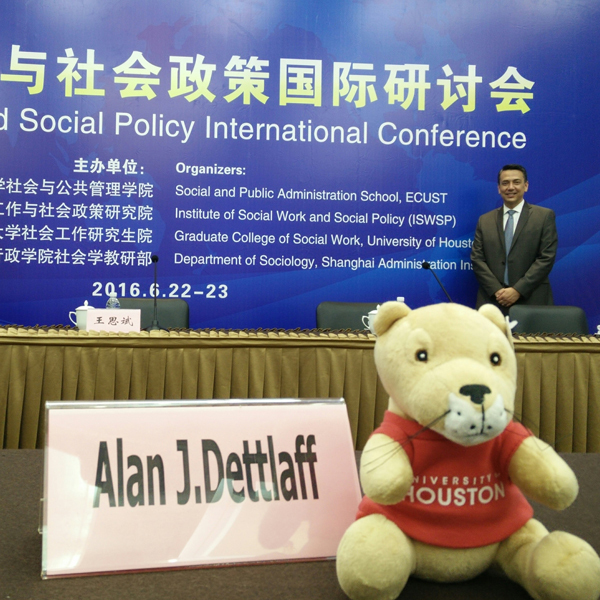 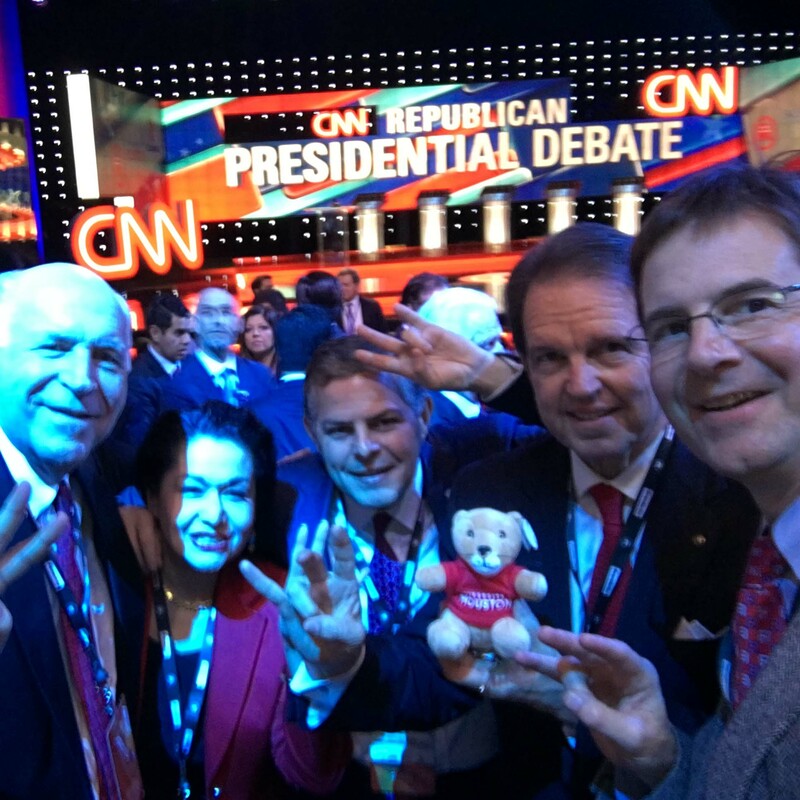 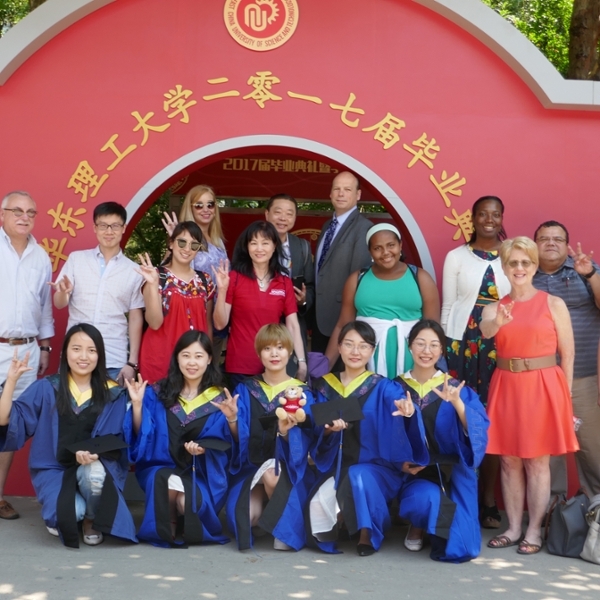 Shasta with Dean Dettlaff at a global conference in Guangdong, China. 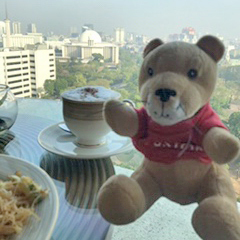 Shasta is enjoying free coffee at the new UH Faculty Café. 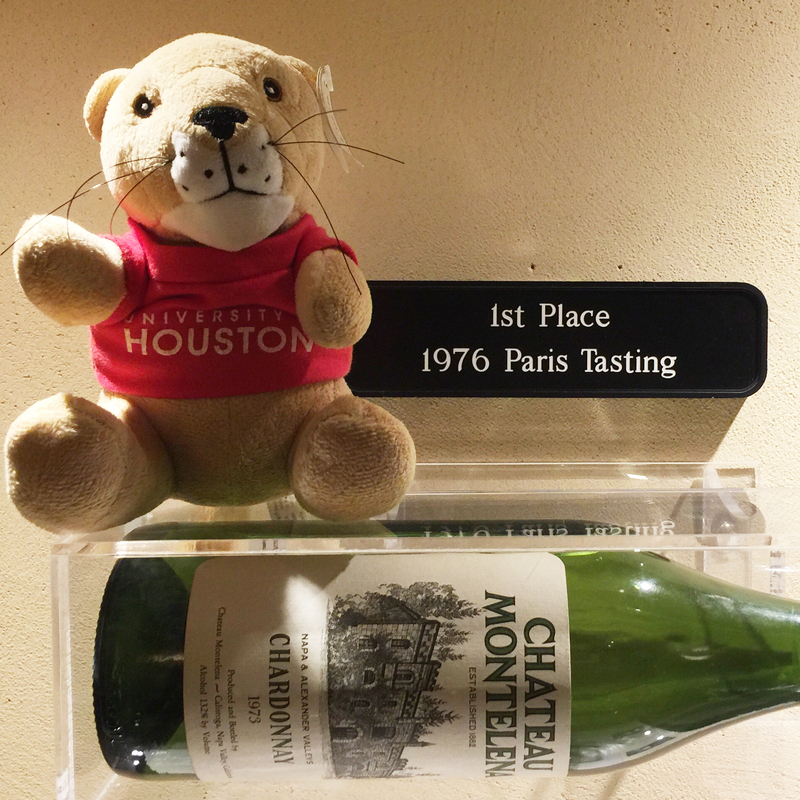 Shasta at Chateau Montelena, with the bottle that put Napa on the map at the 1976 judgement in Paris. 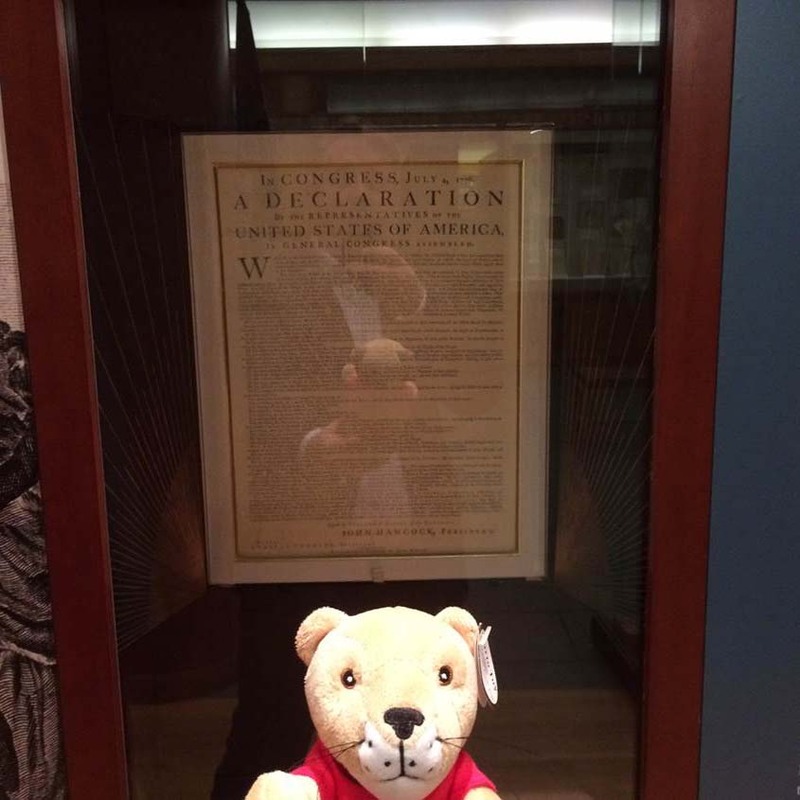 Shasta at Queen's University in Kingston, Ontario, Canada.